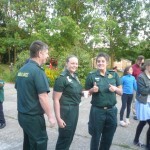 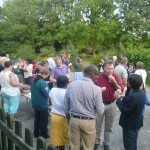 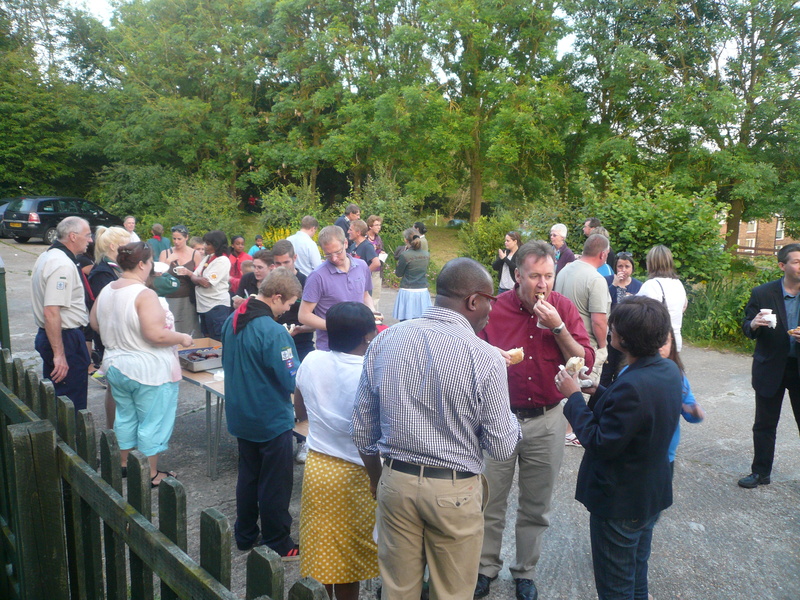 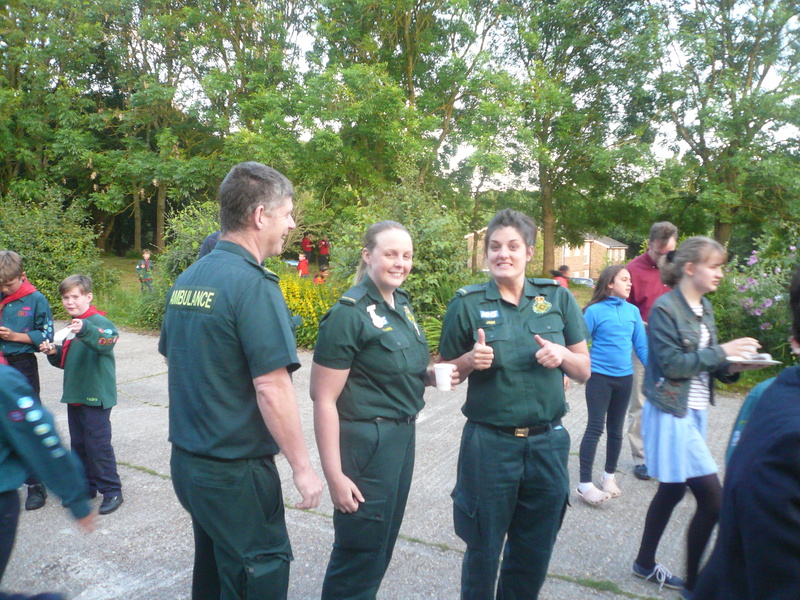 On Friday, 20th June almost 100 members, friends and supporters joined together for the Group’s annual social and General Meeting. 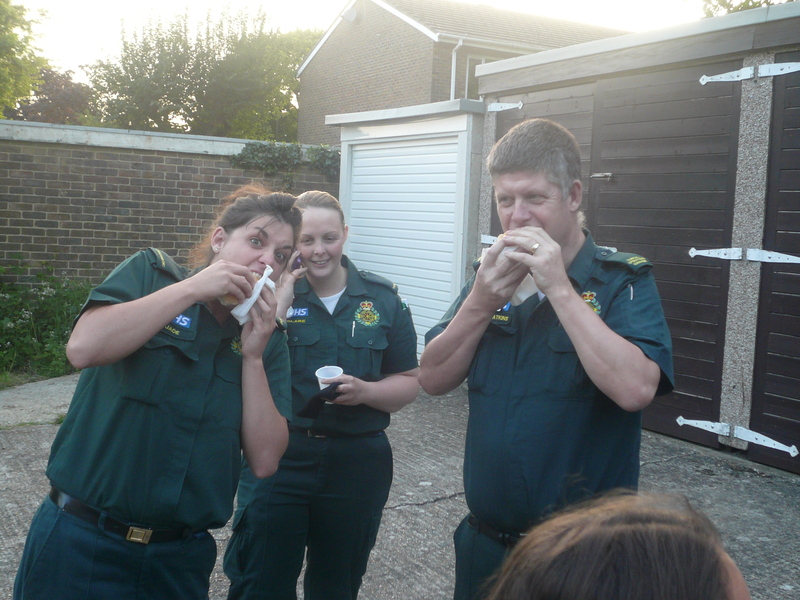 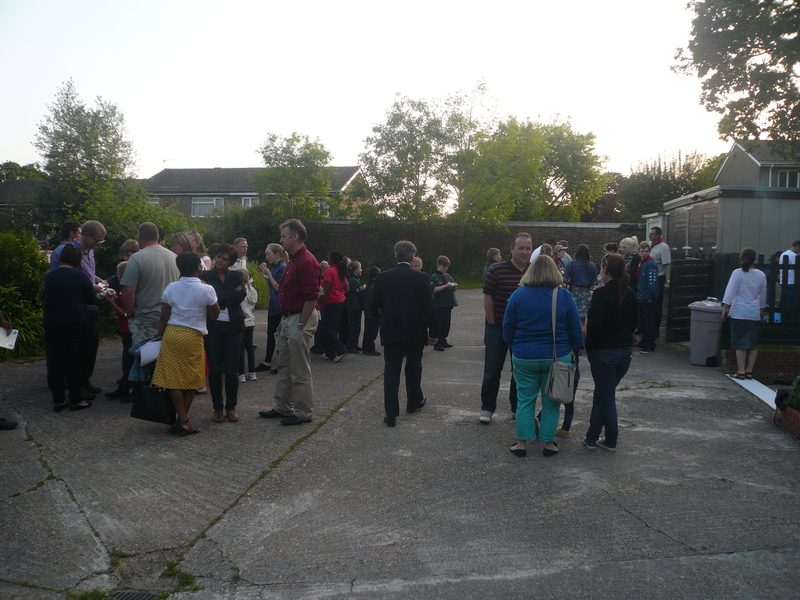 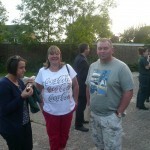 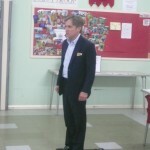 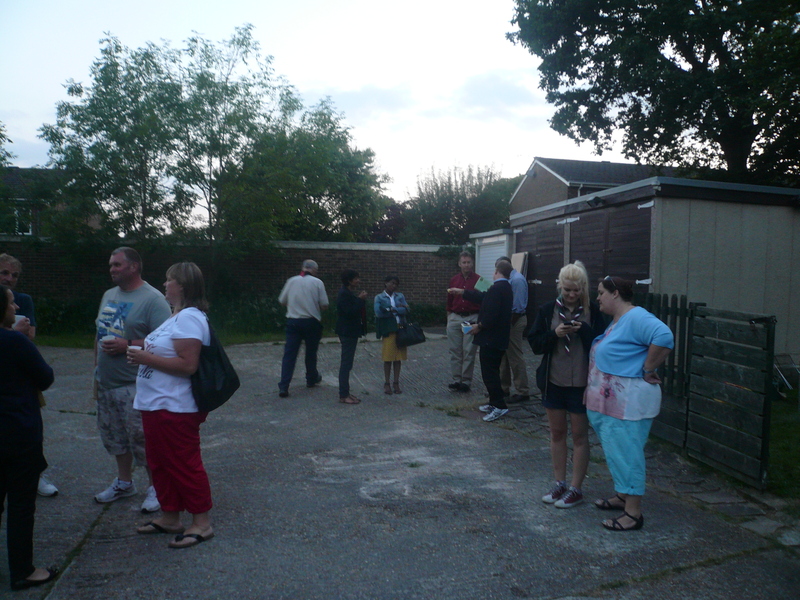 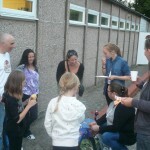 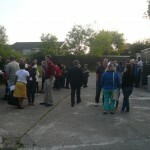 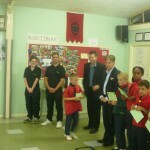 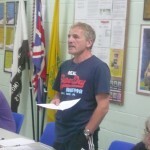 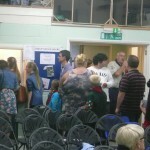 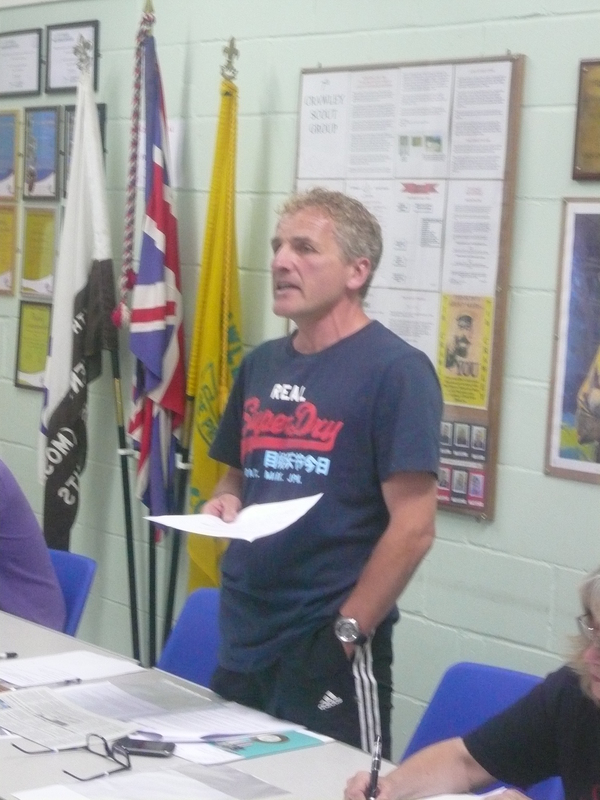 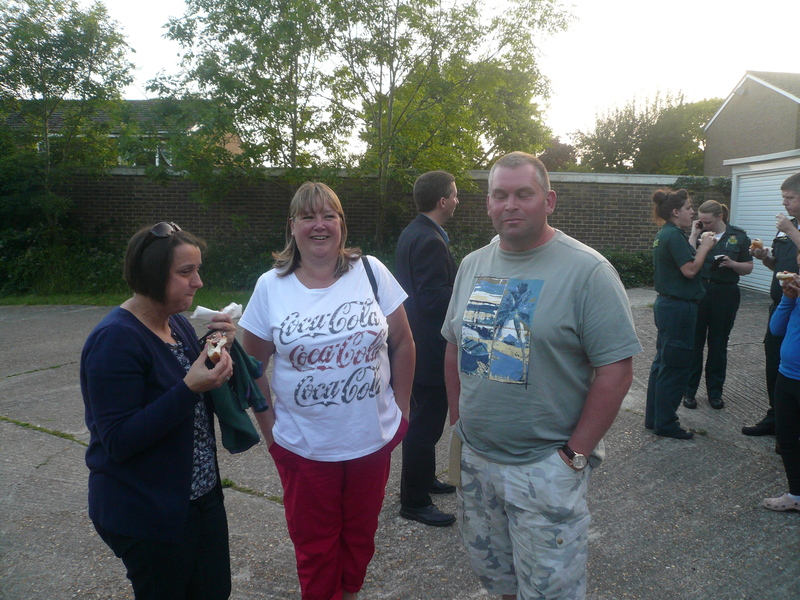 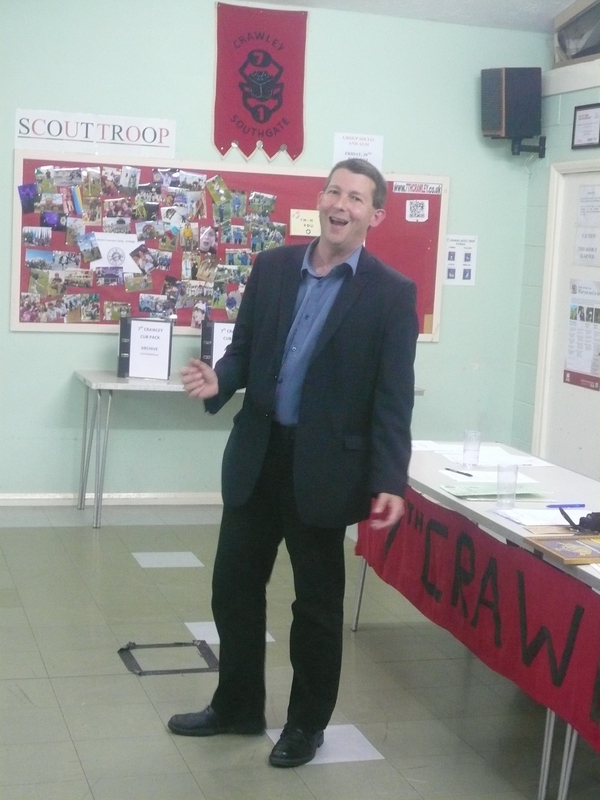 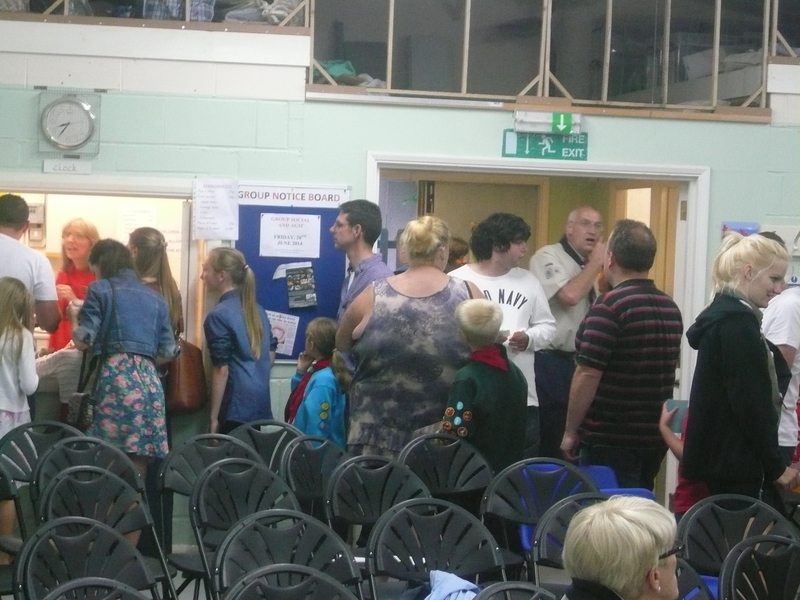 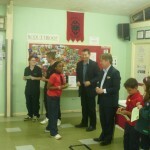 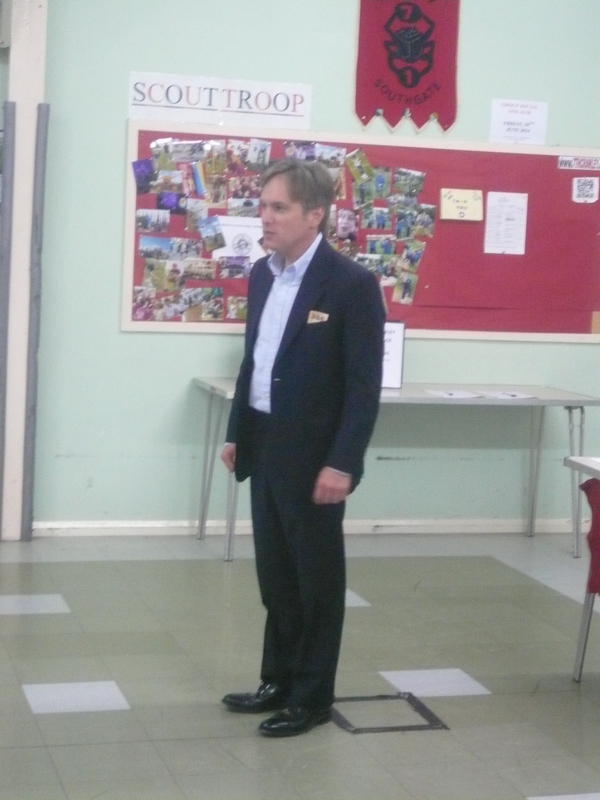 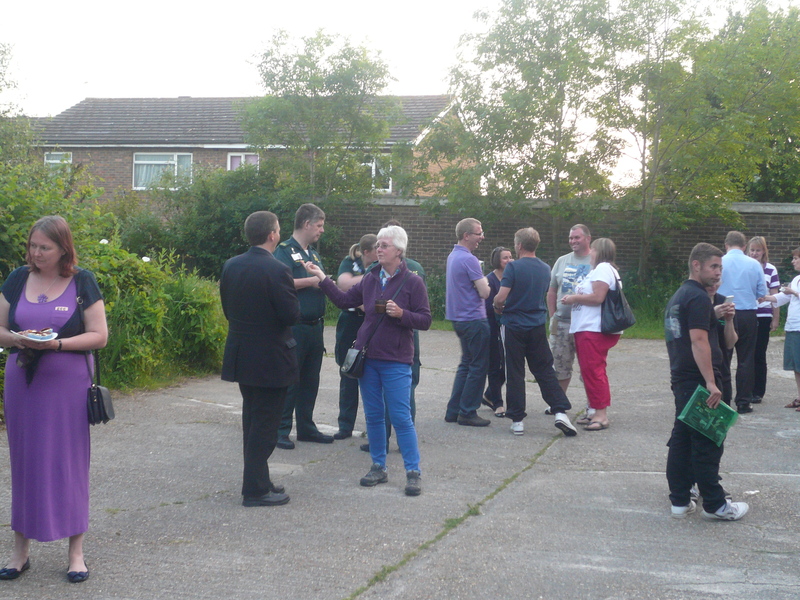 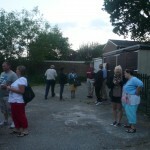 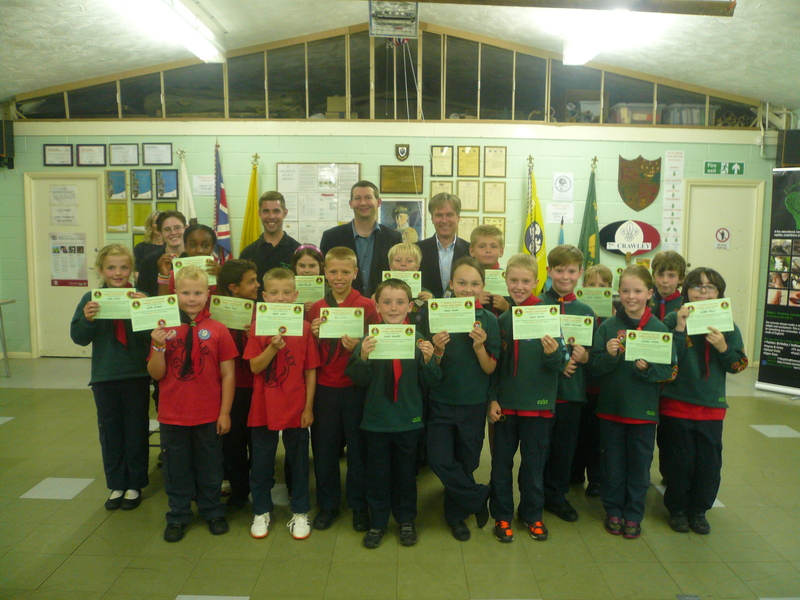 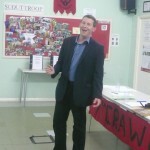 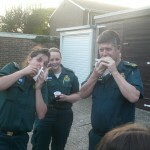 Our thanks to everyone who attended and supported the Group – It is really appreciated. 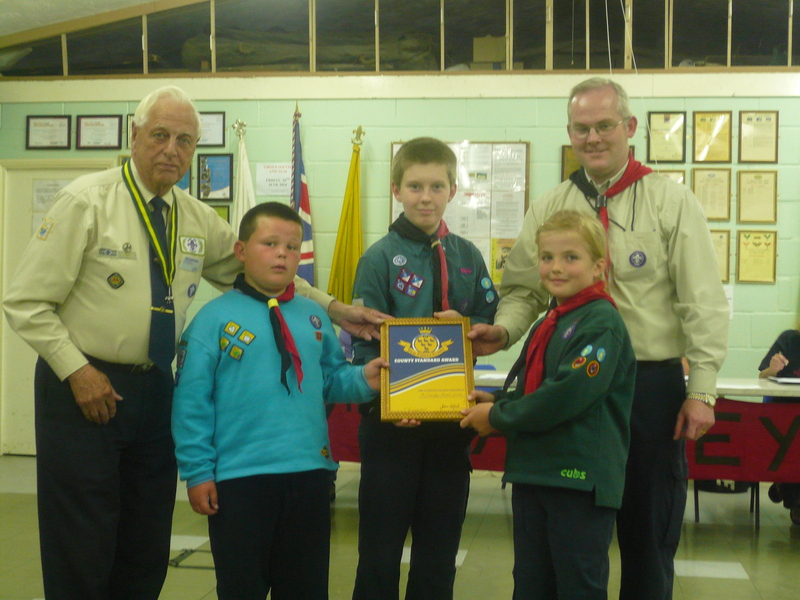 The Group was also very proud to be presented again, for the 15th year running, the COUNTY STANDARD by John Lambourne; County Vice-President. 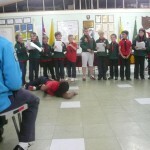 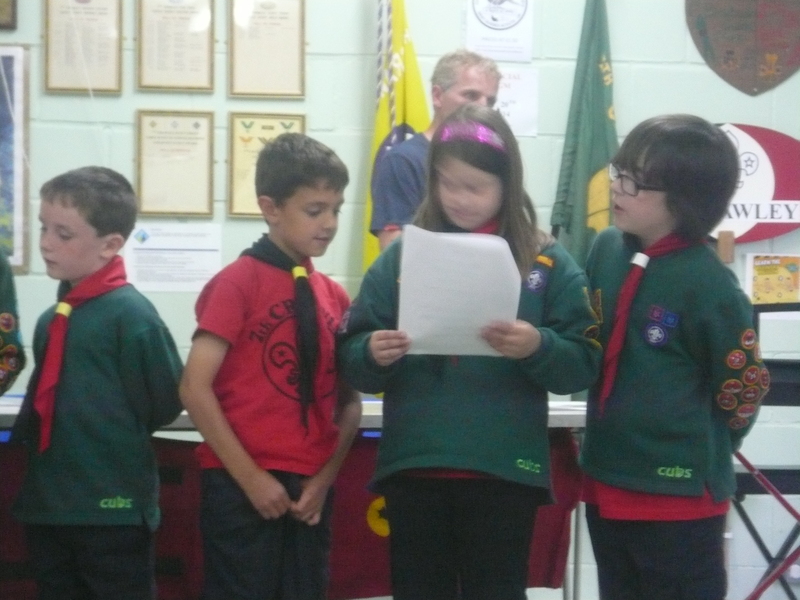 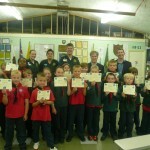 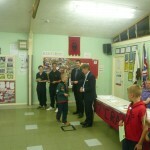 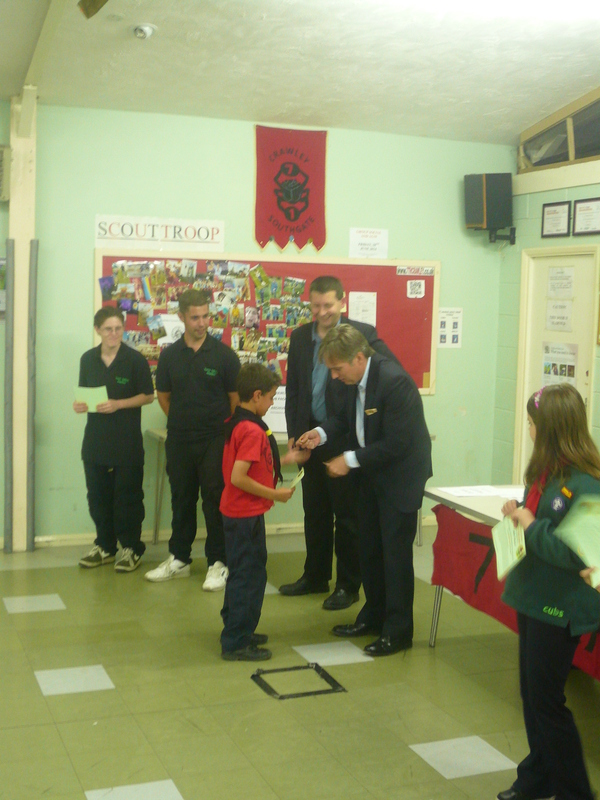 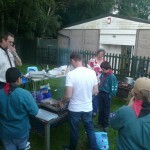 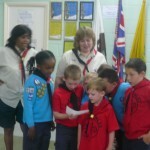 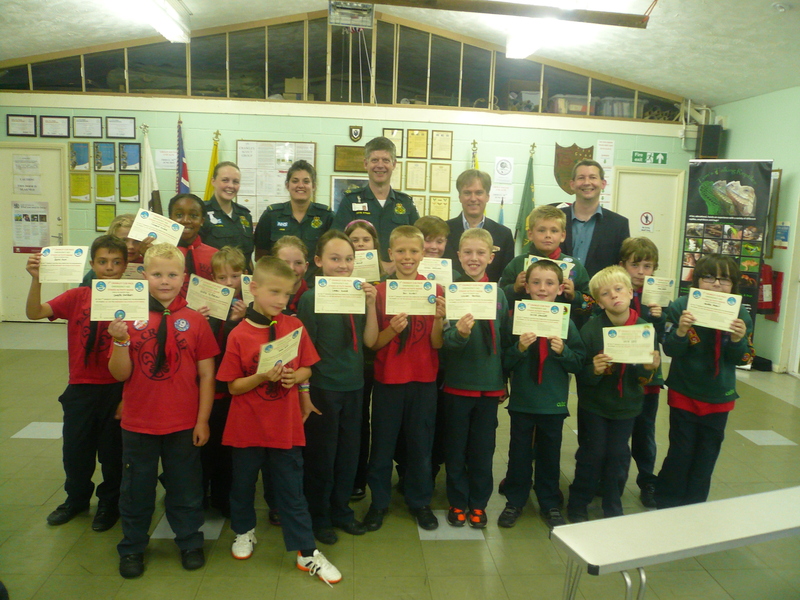 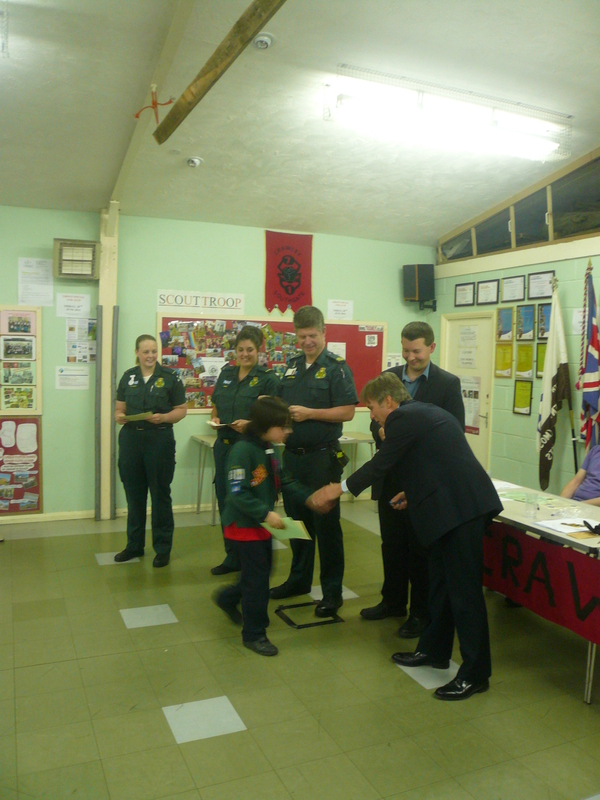 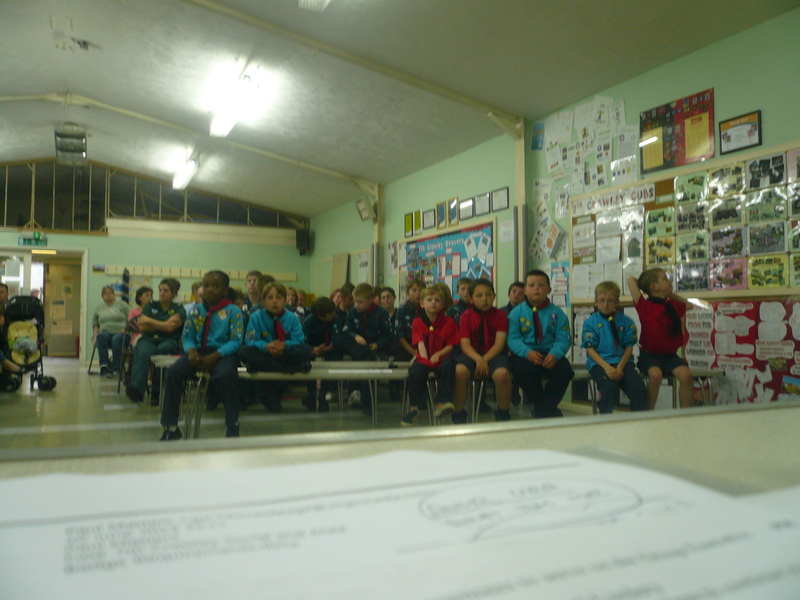 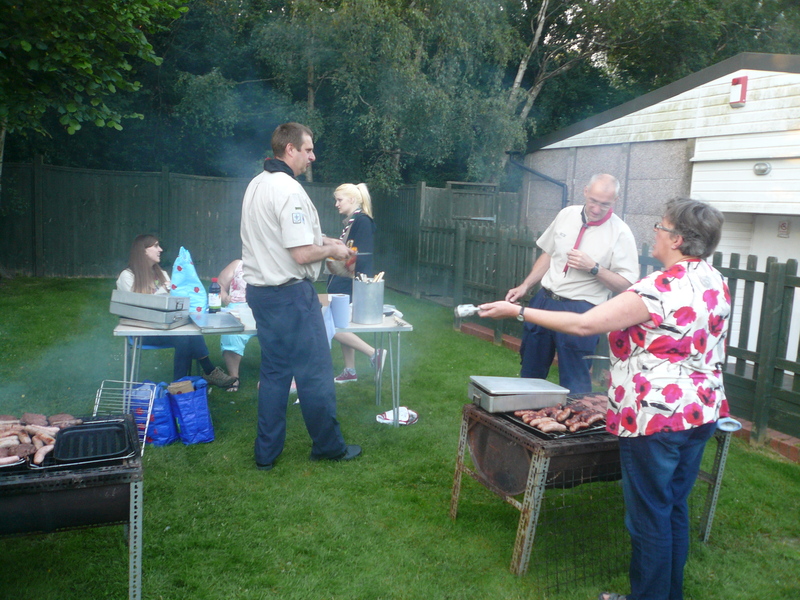 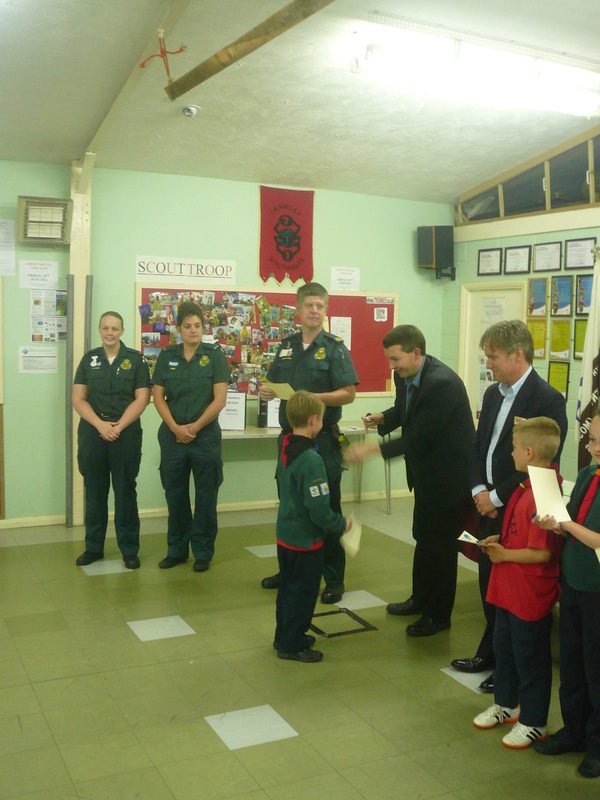 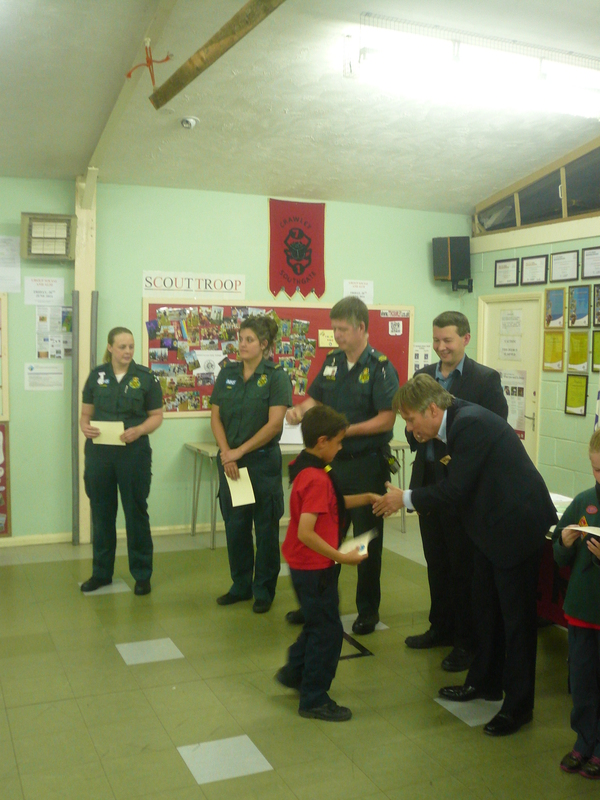 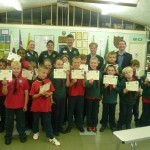 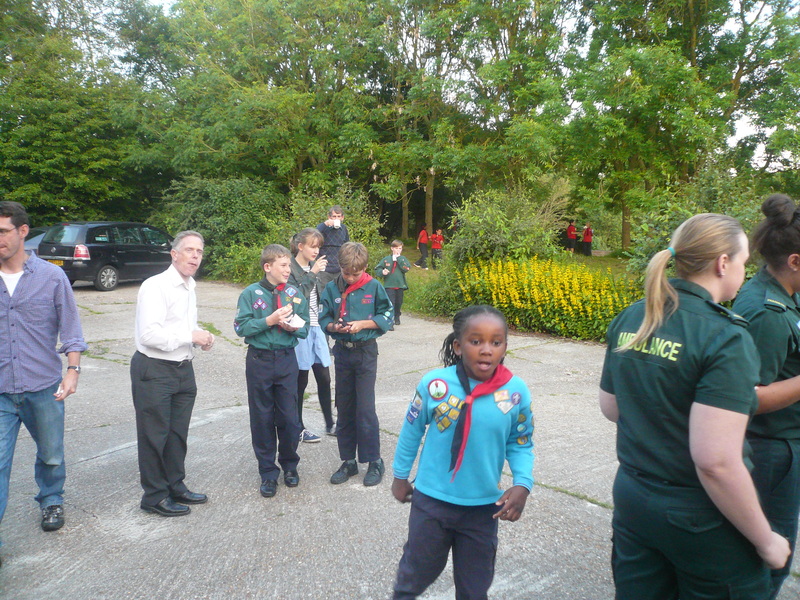 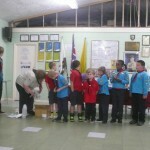 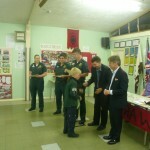 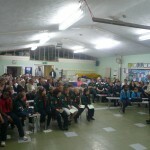 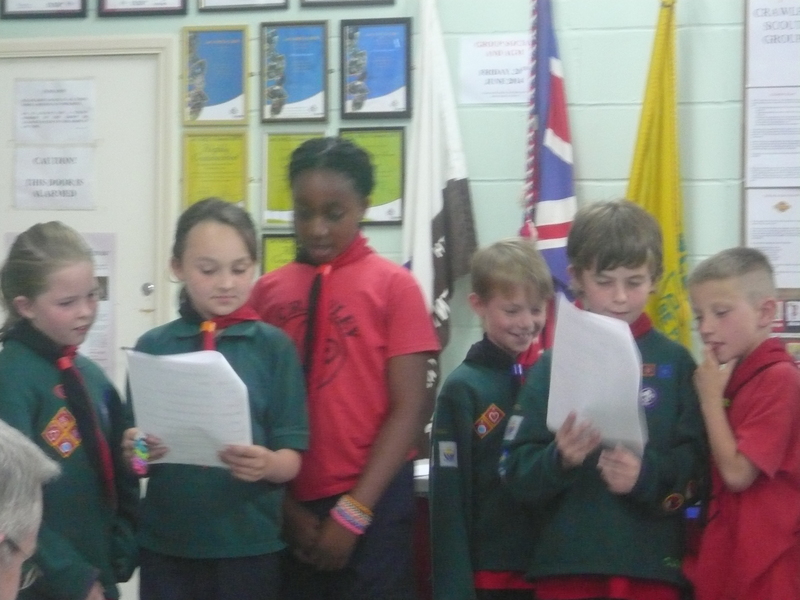 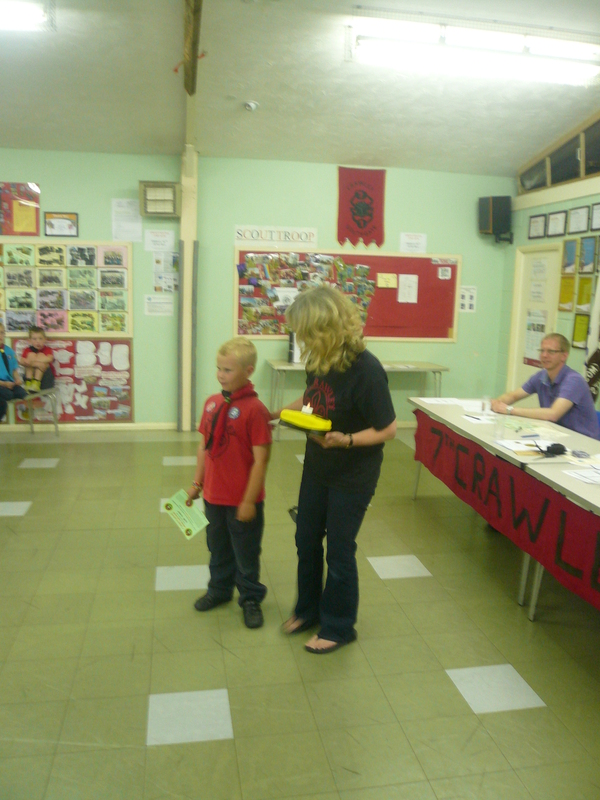 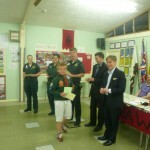 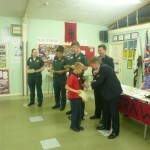 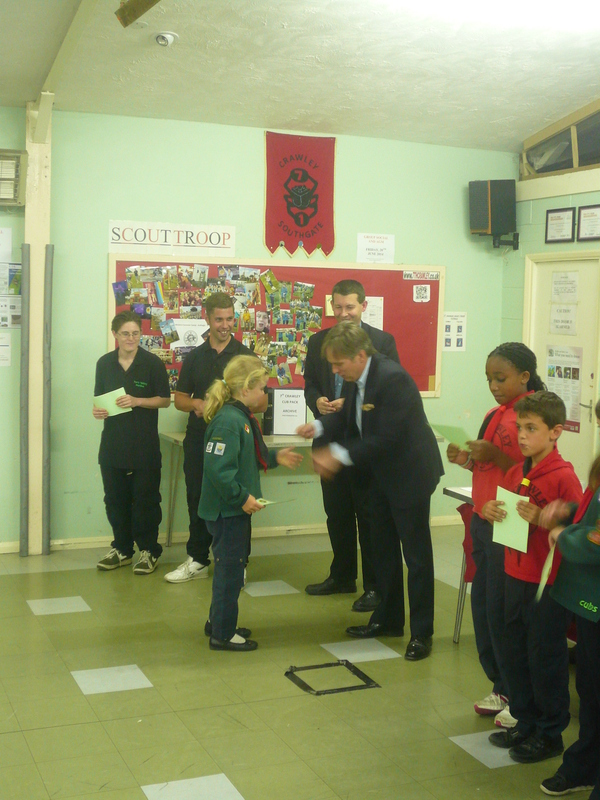 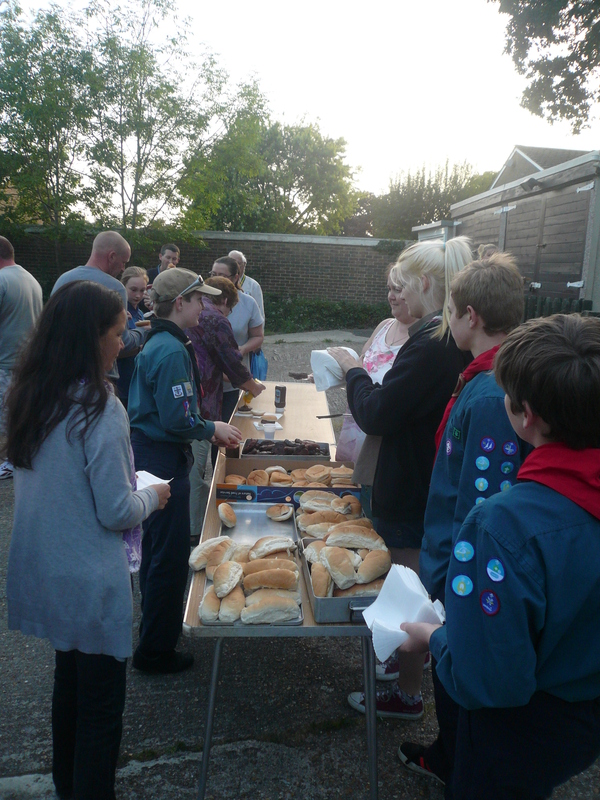 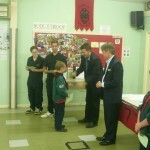 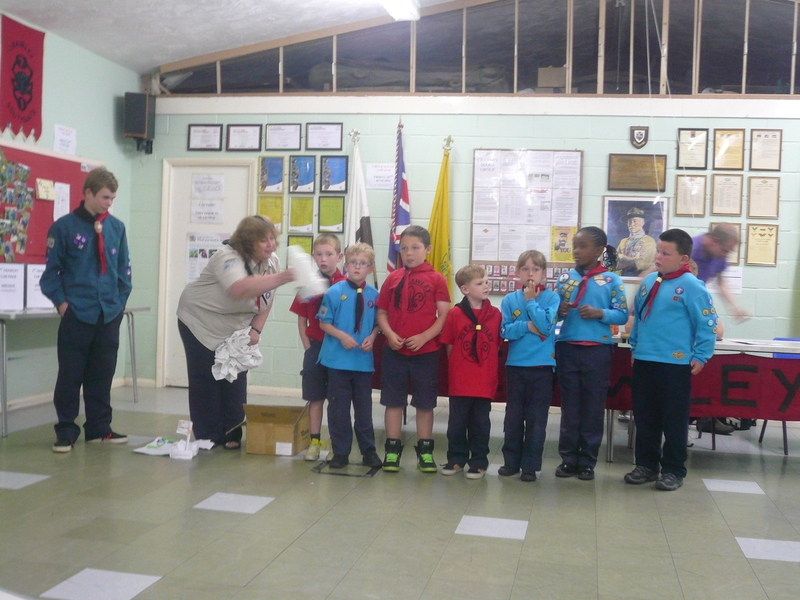 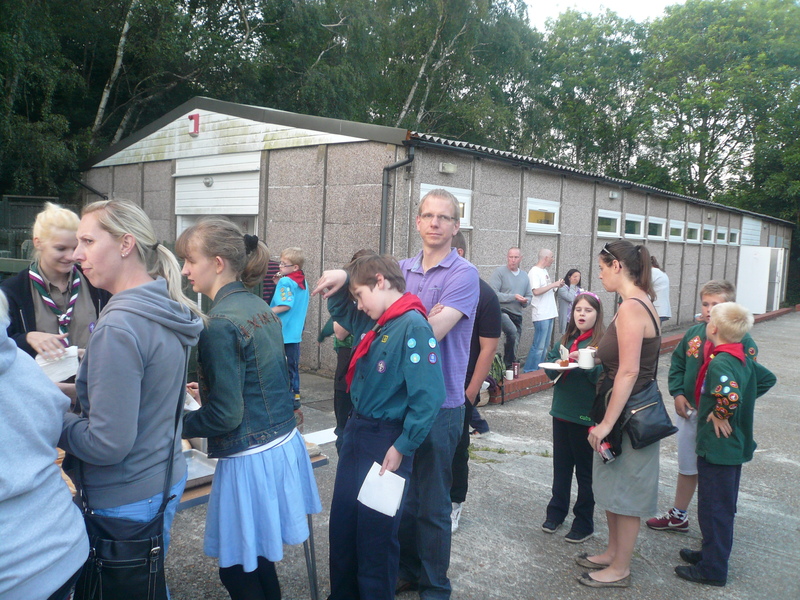 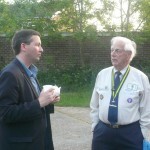 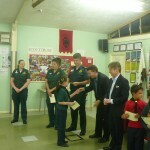 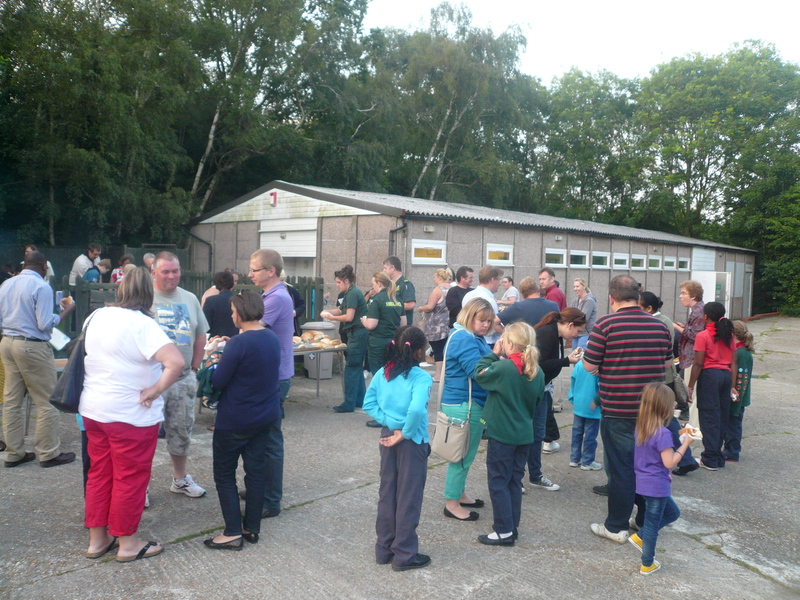 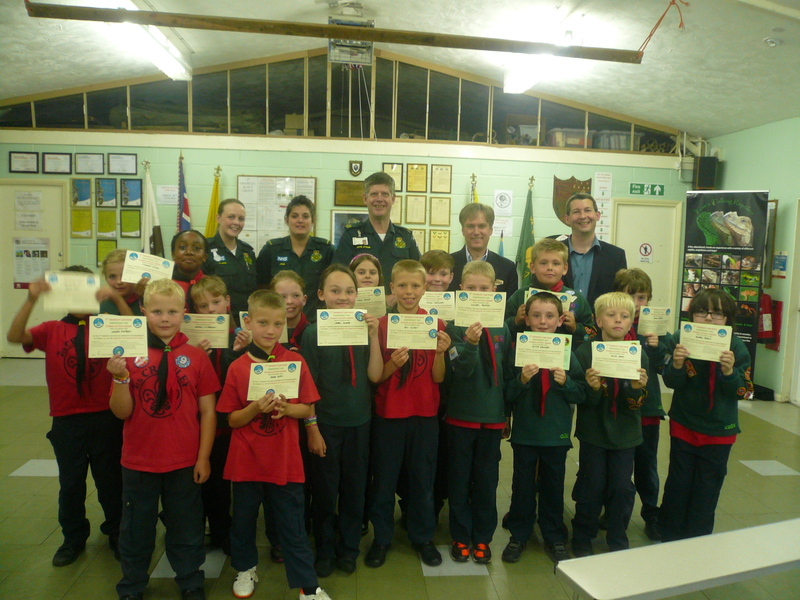 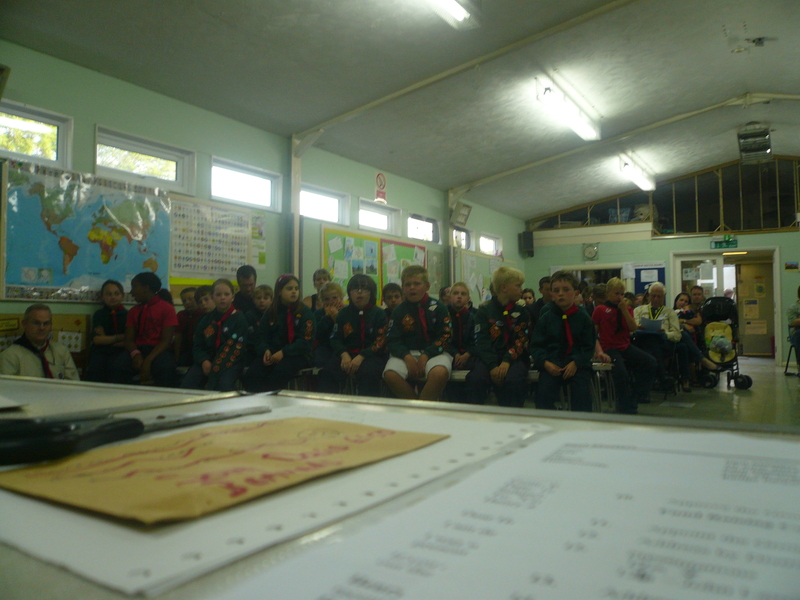 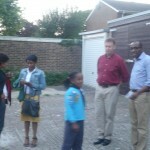 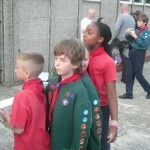 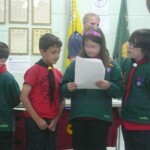 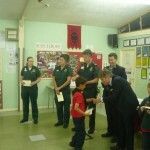 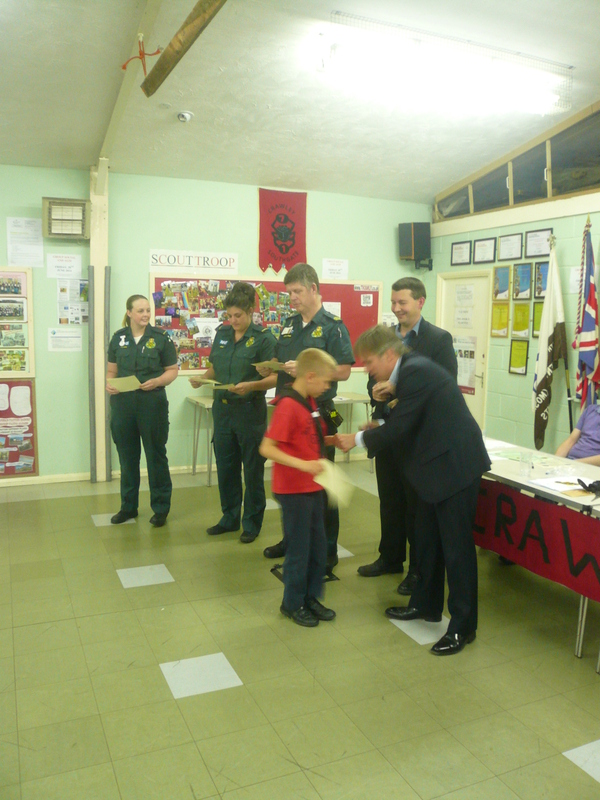 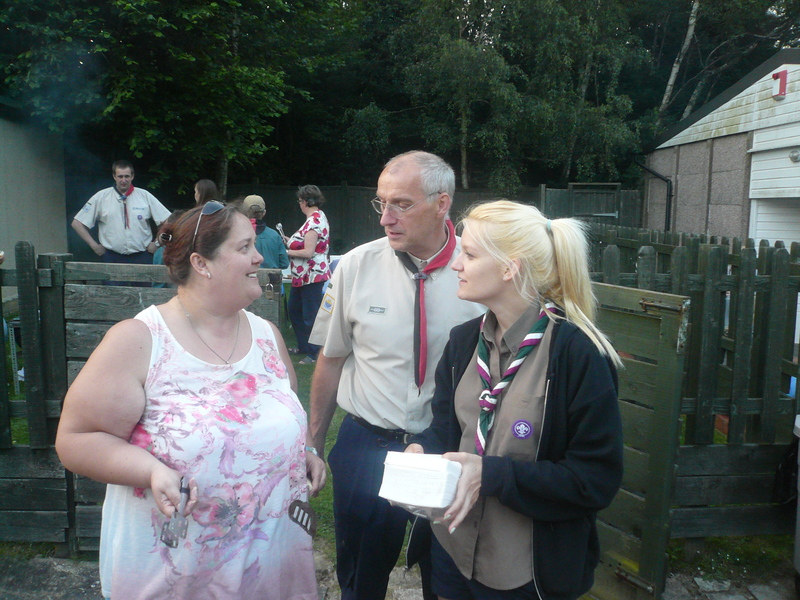 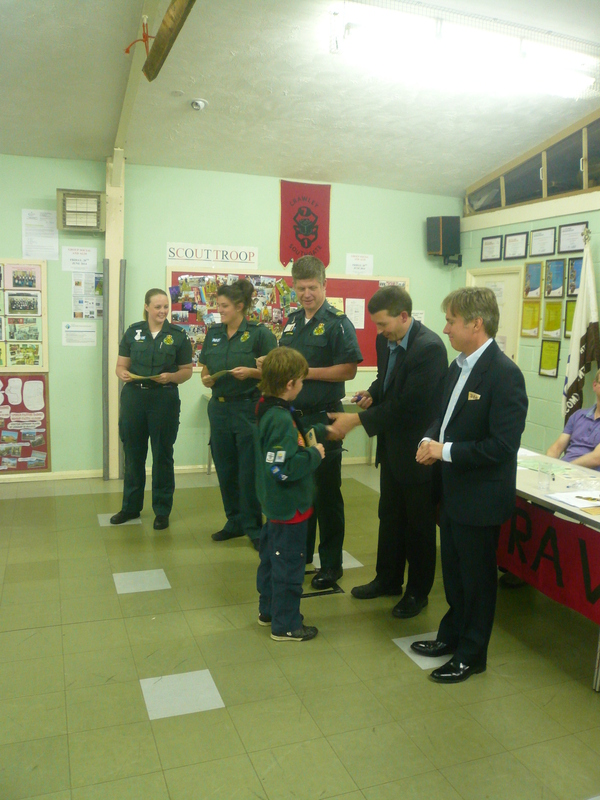 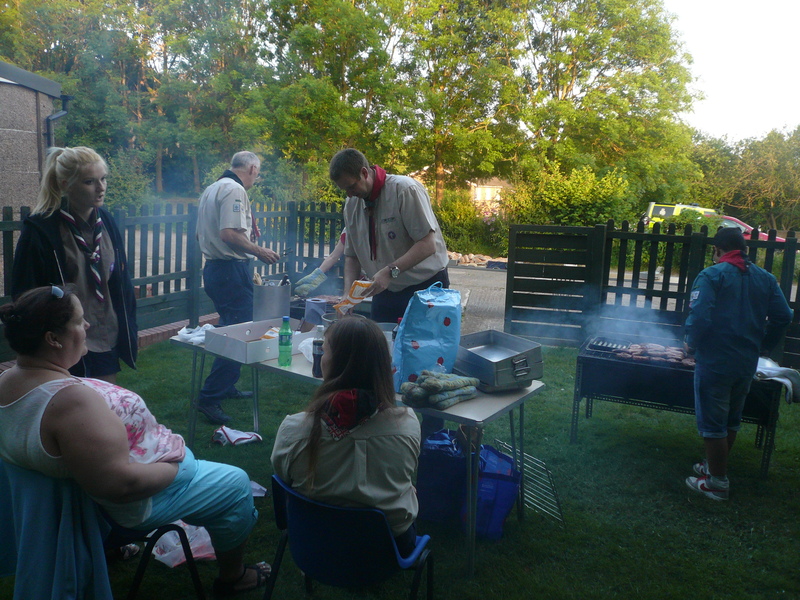 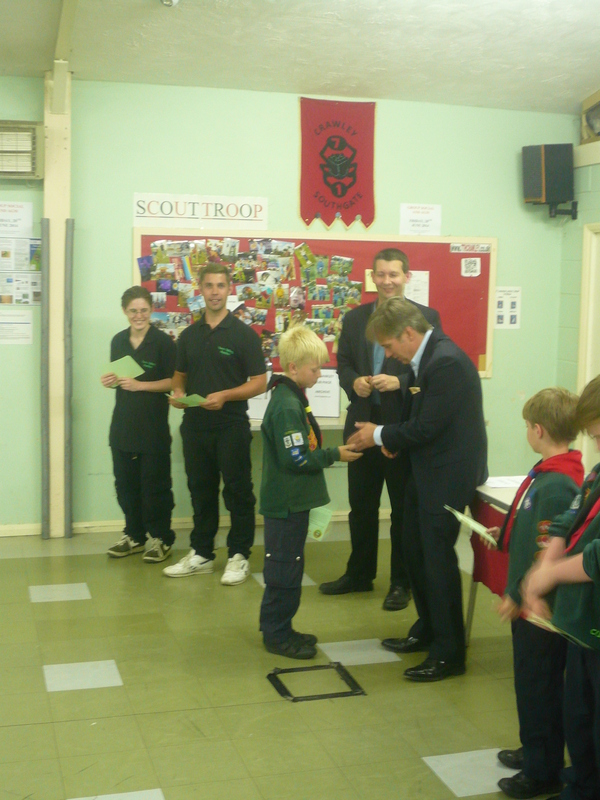 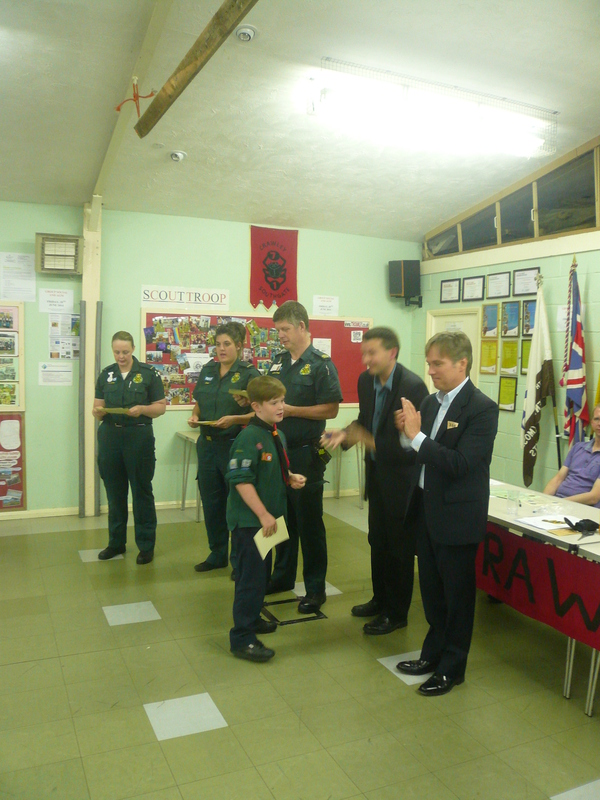 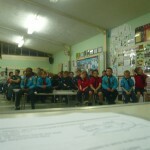 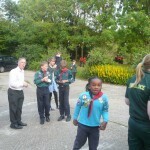 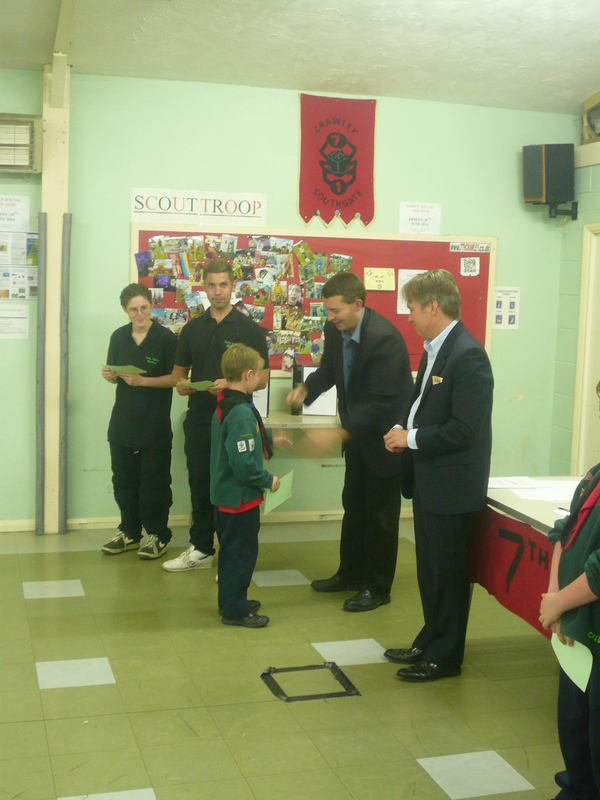 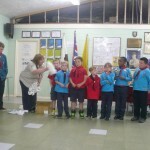 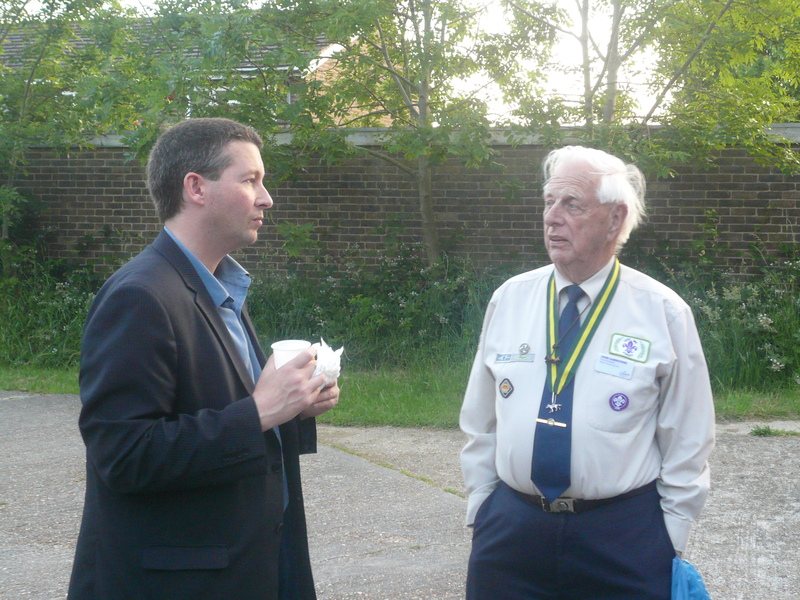 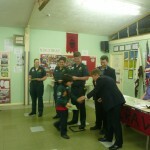 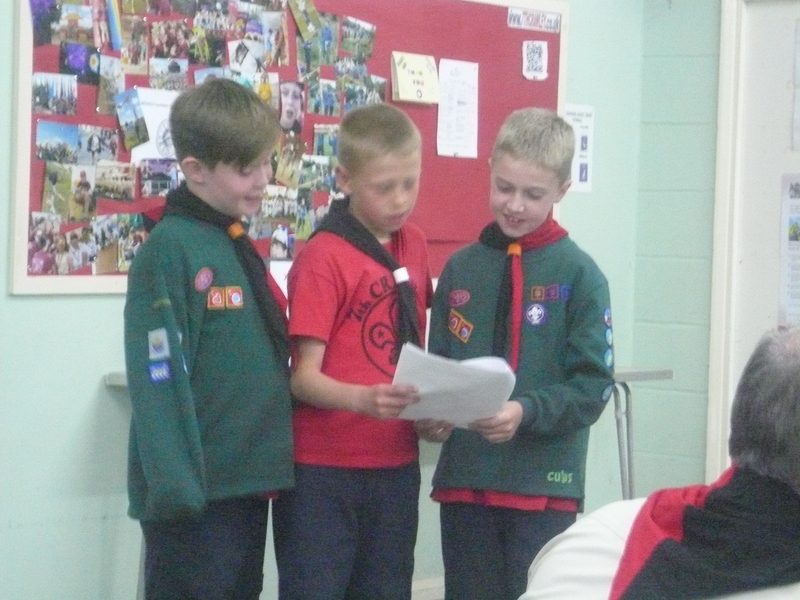 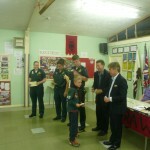 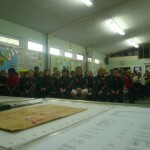 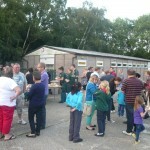 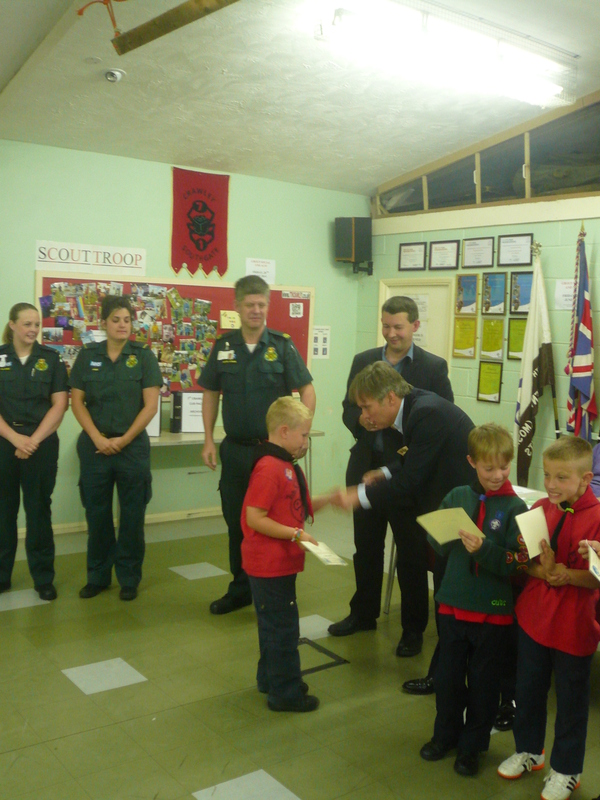 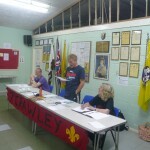 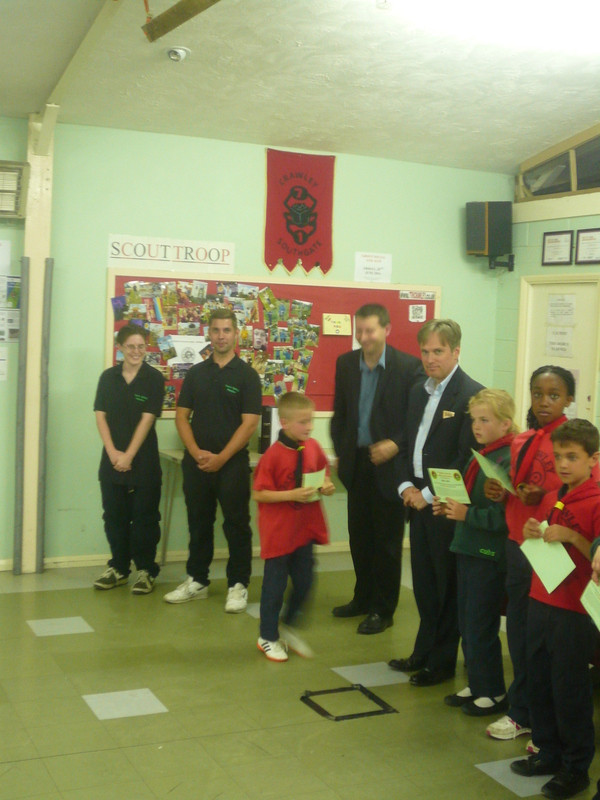 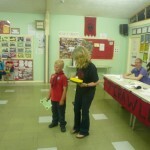 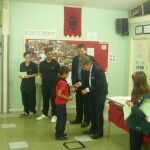 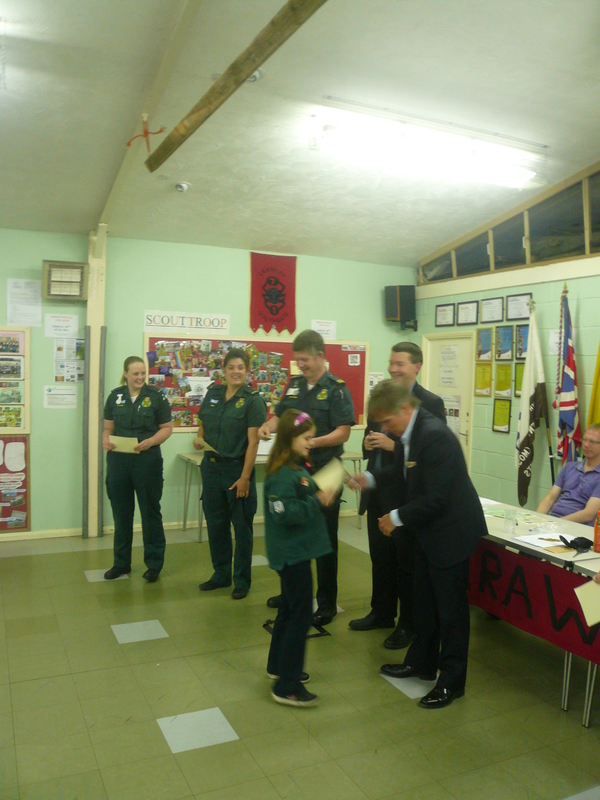 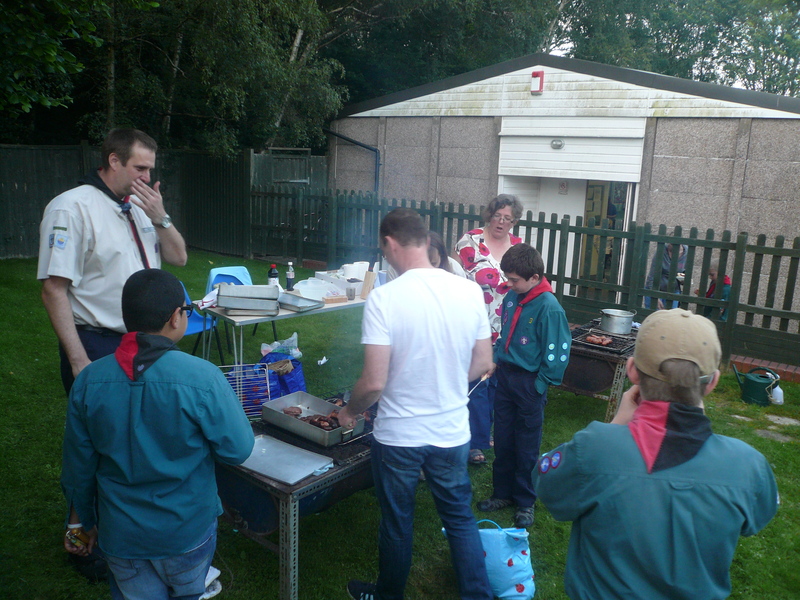 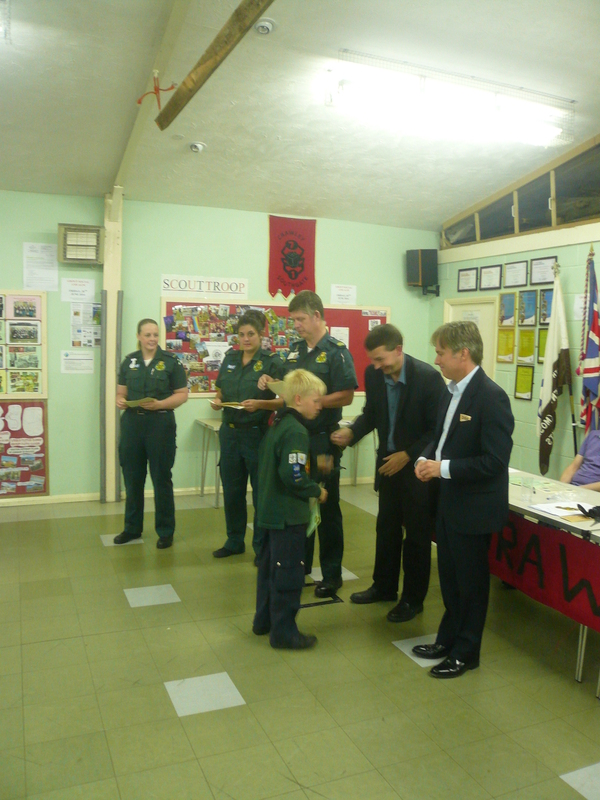 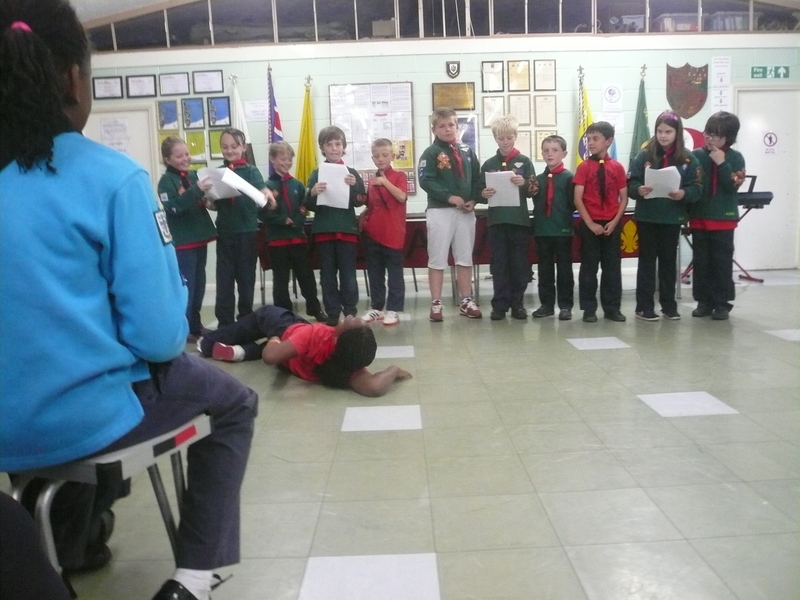 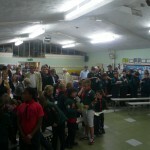 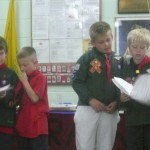 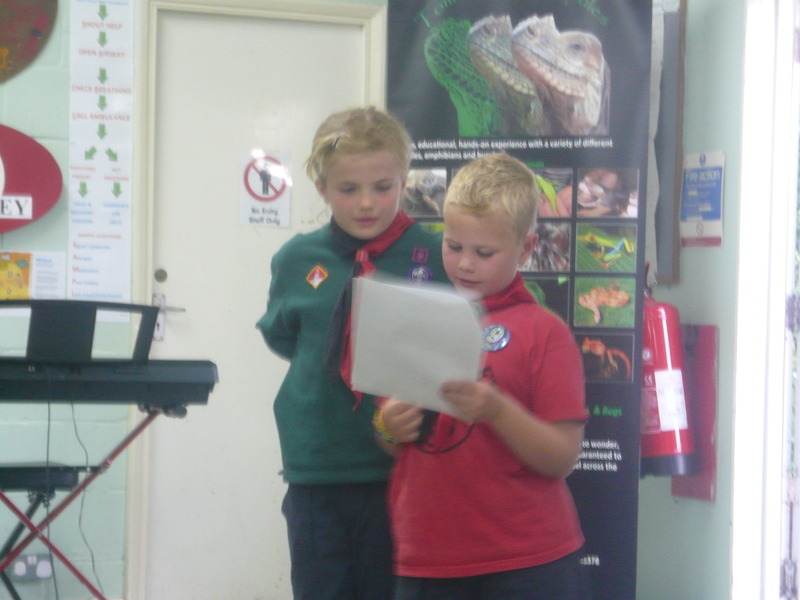 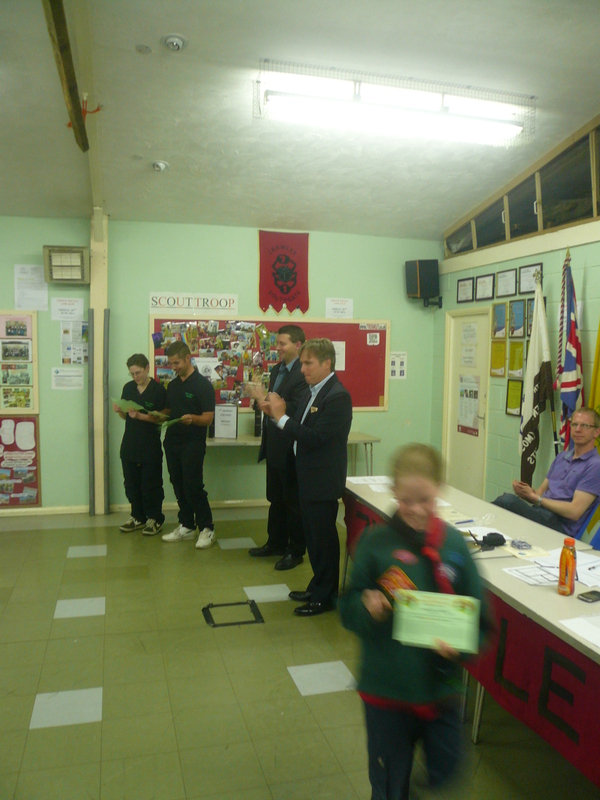 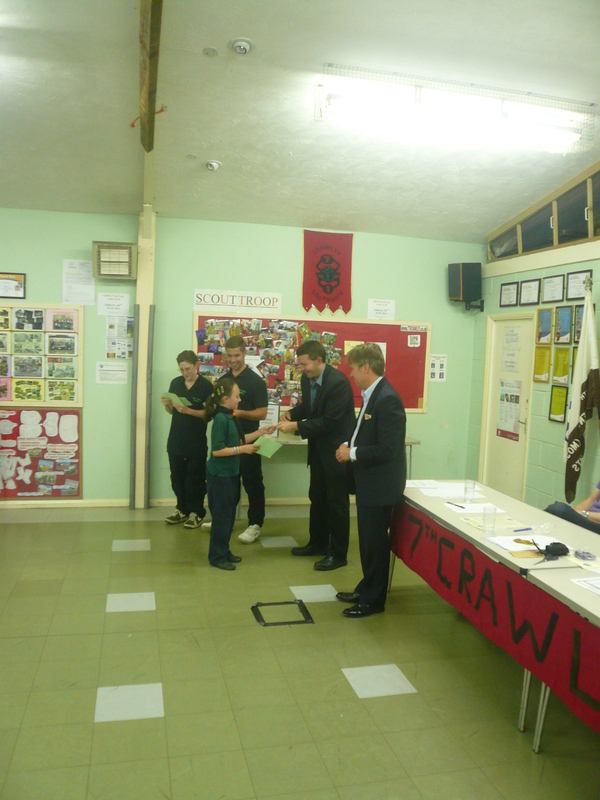 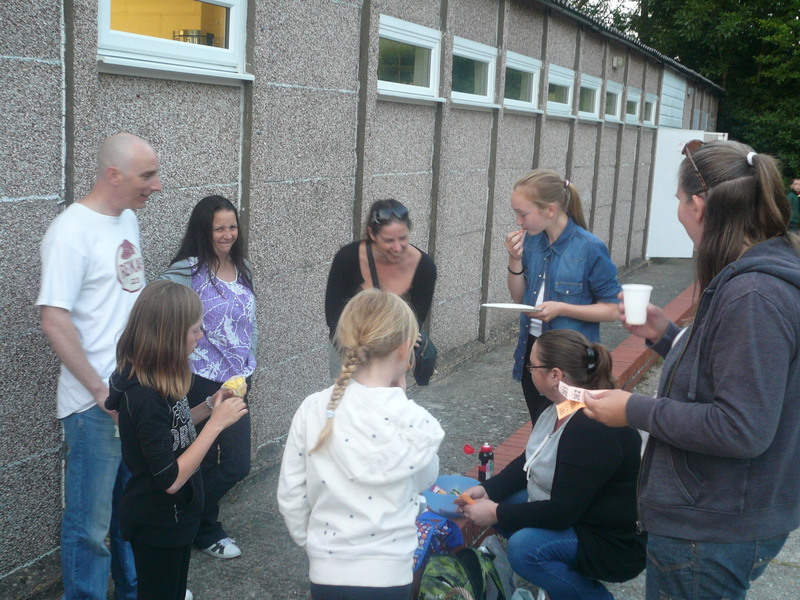 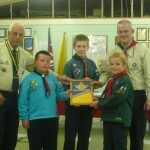 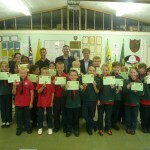 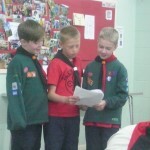 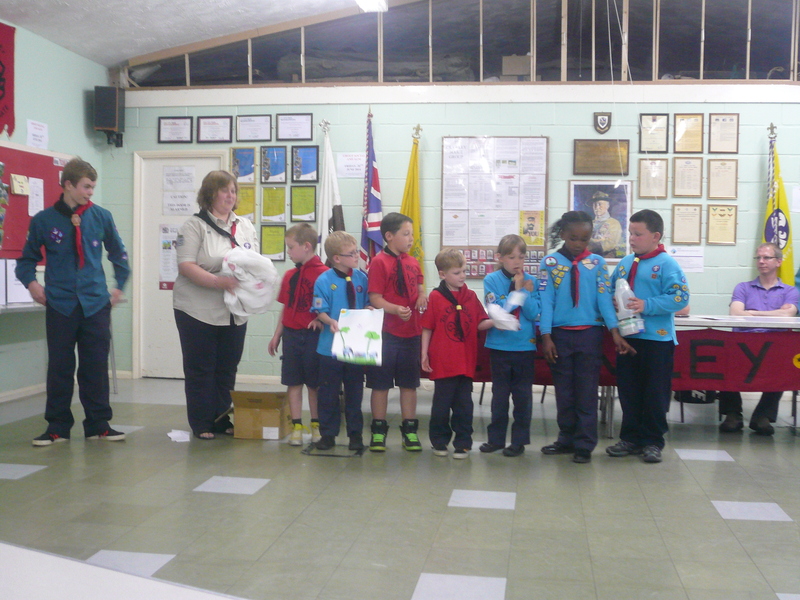 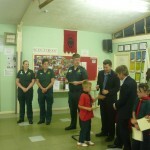 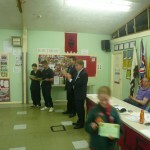 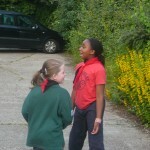 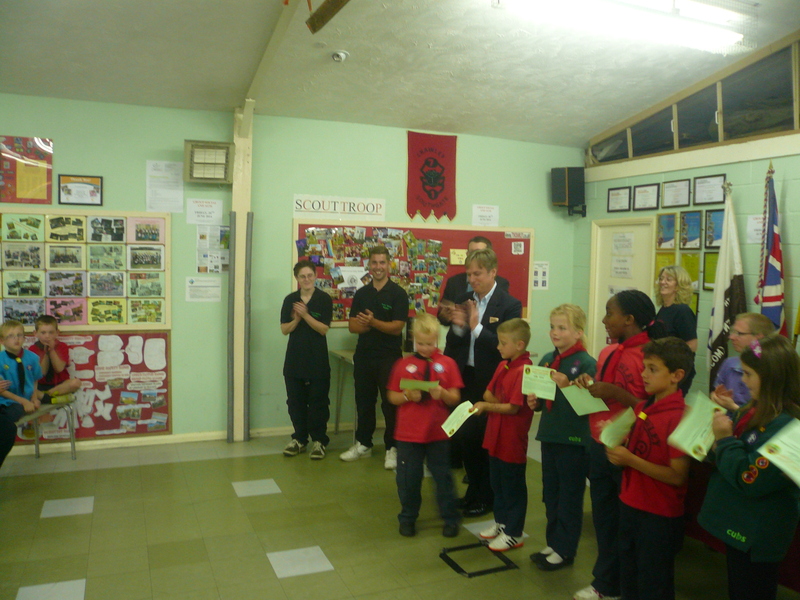 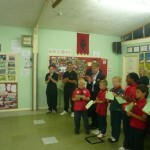 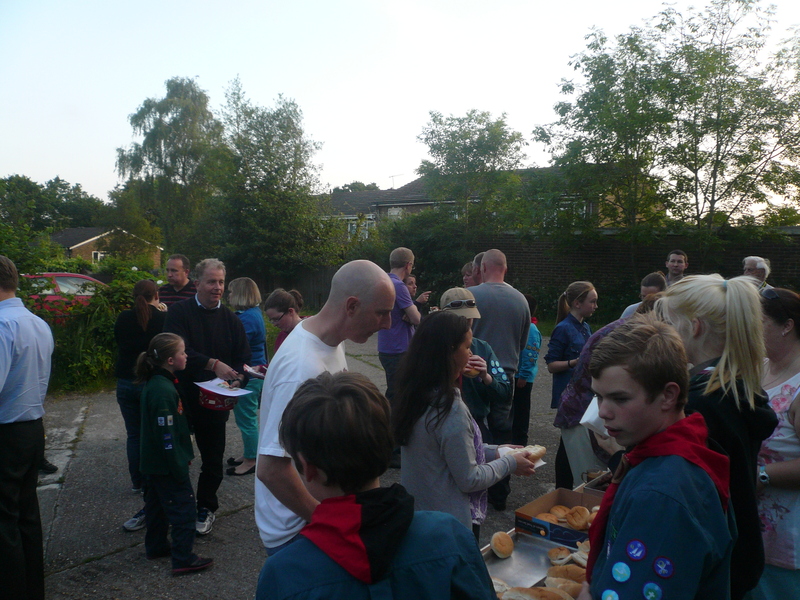 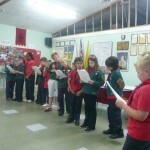 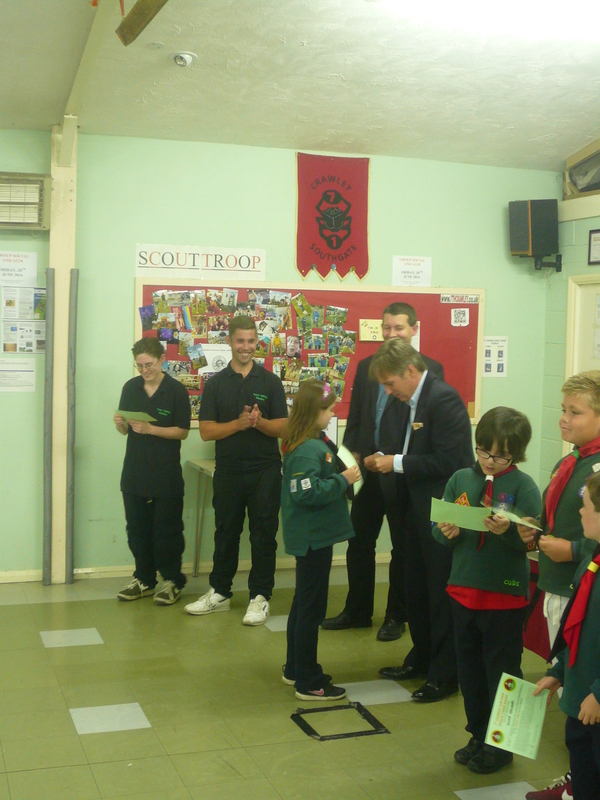 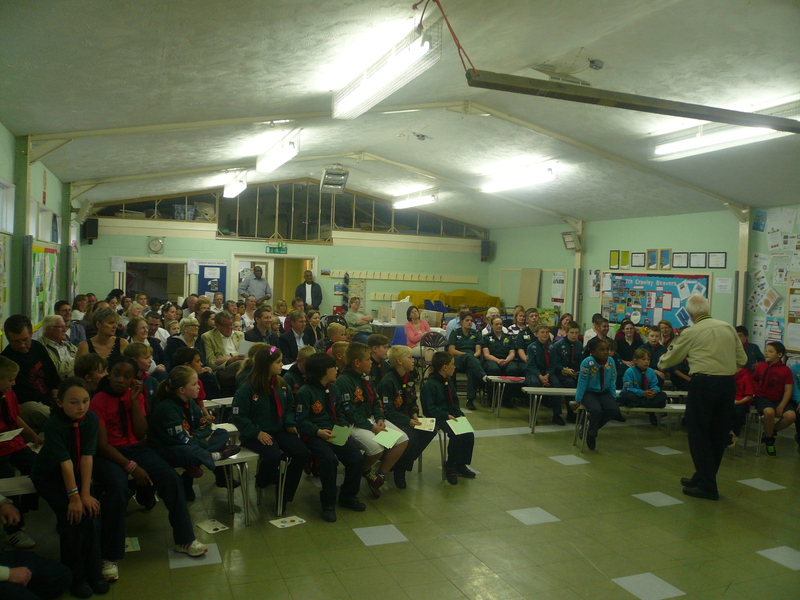 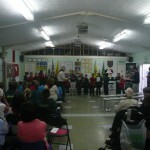 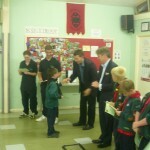 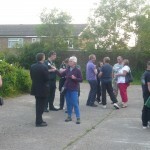 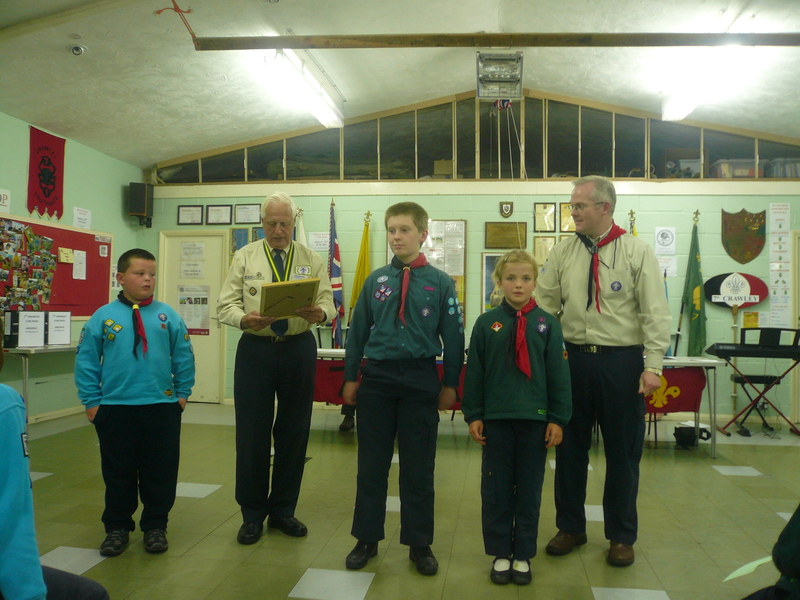 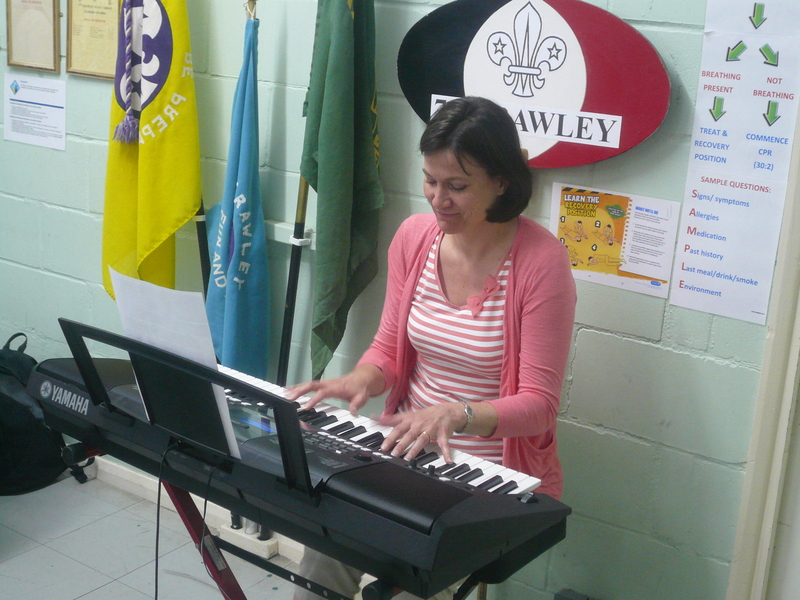 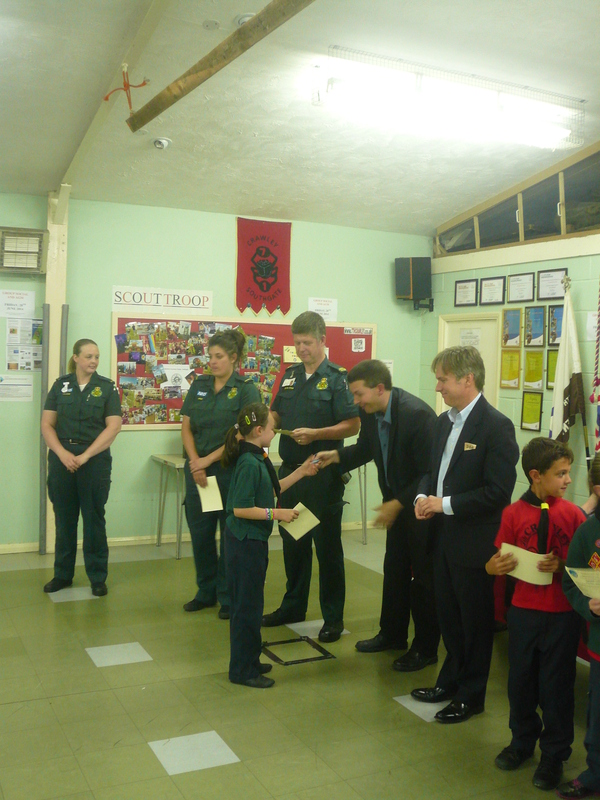 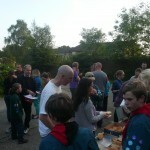 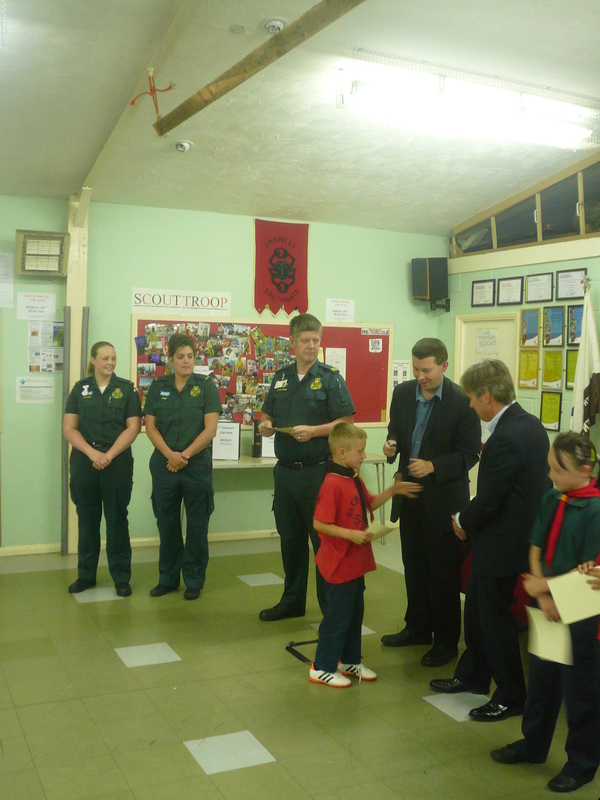 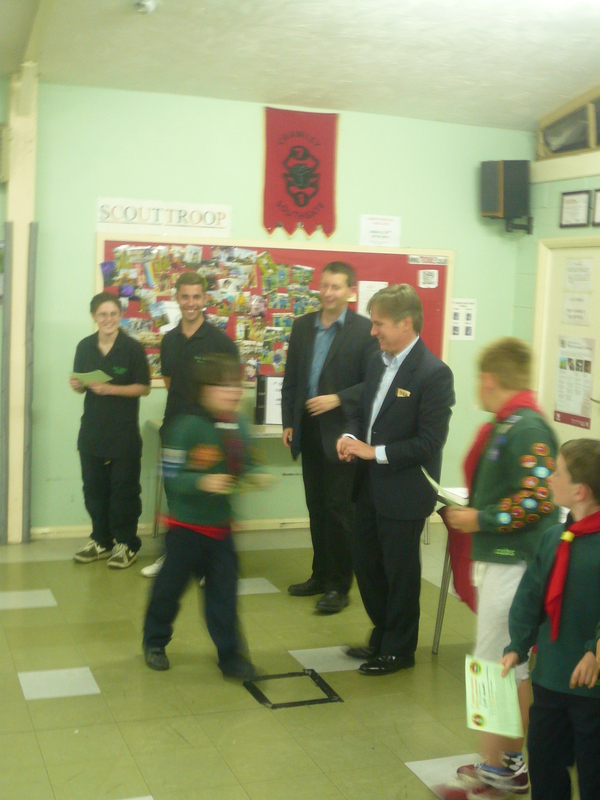 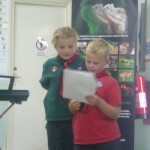 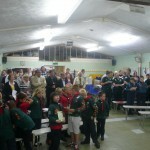 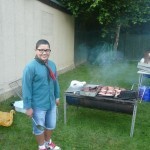 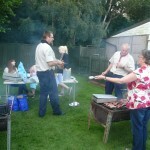 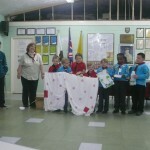 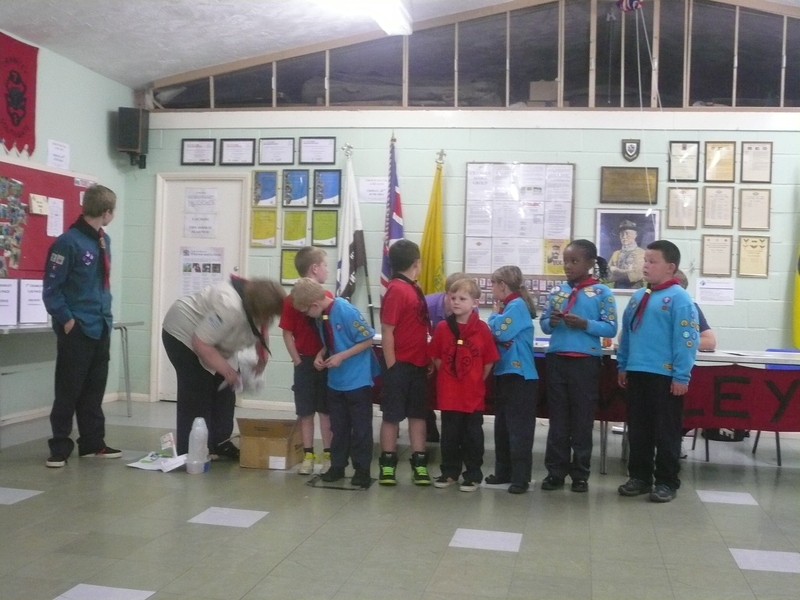 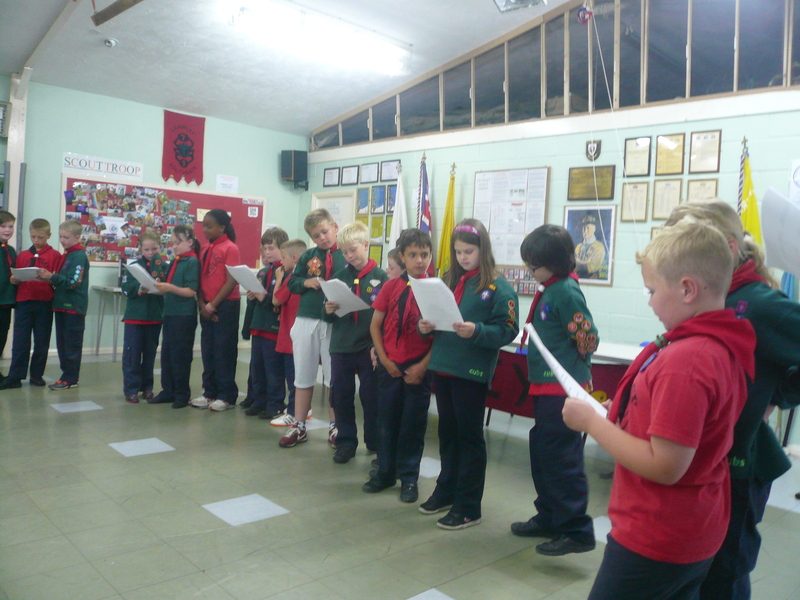 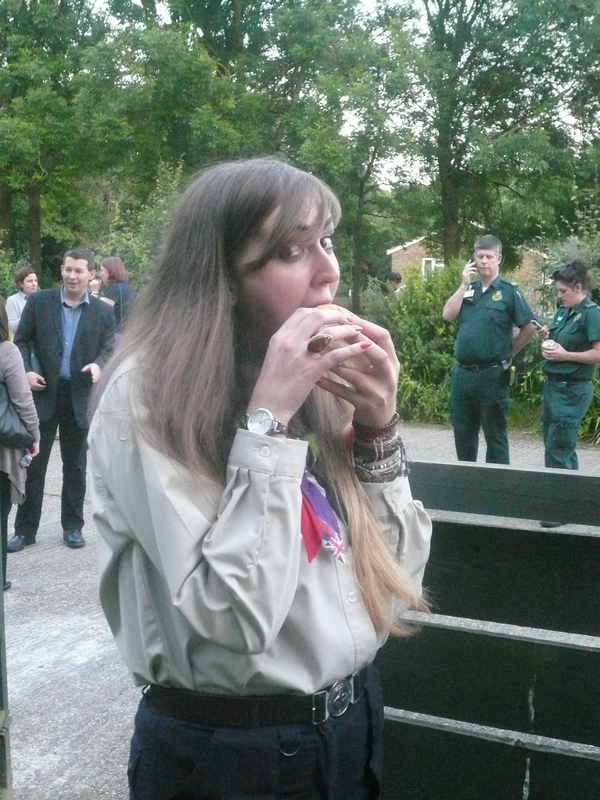 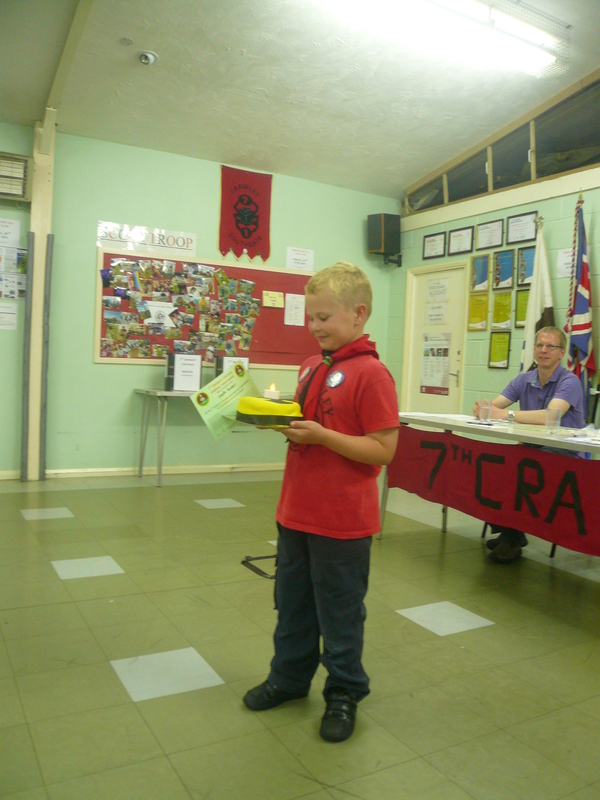 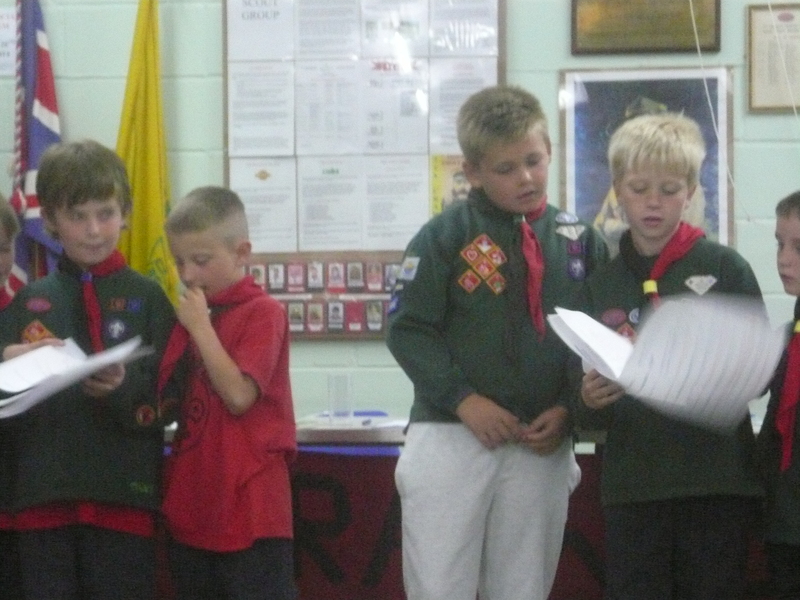 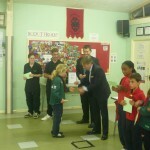 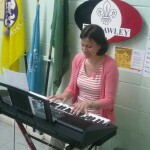 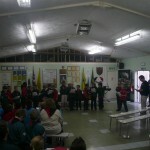 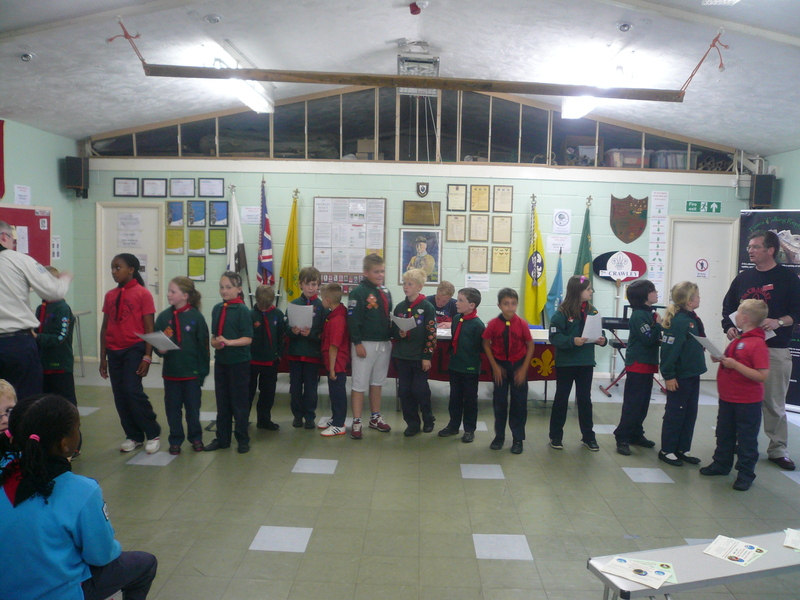 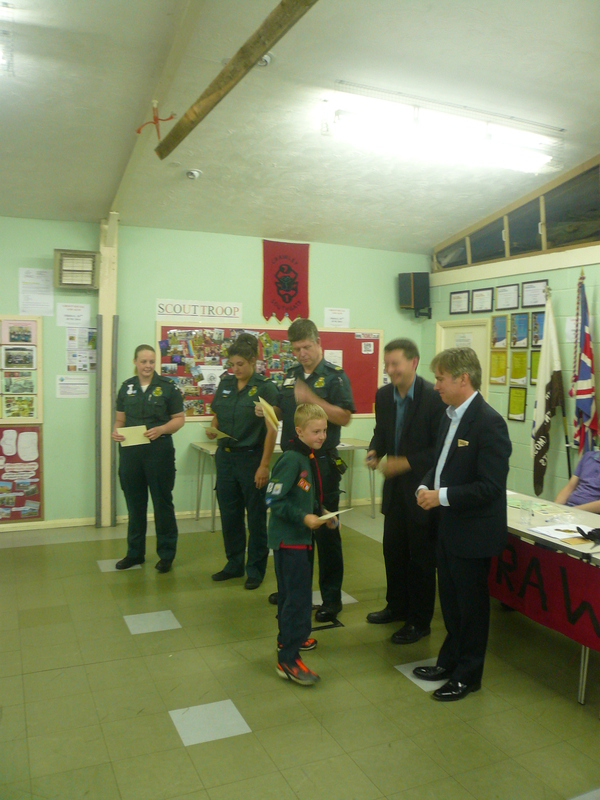 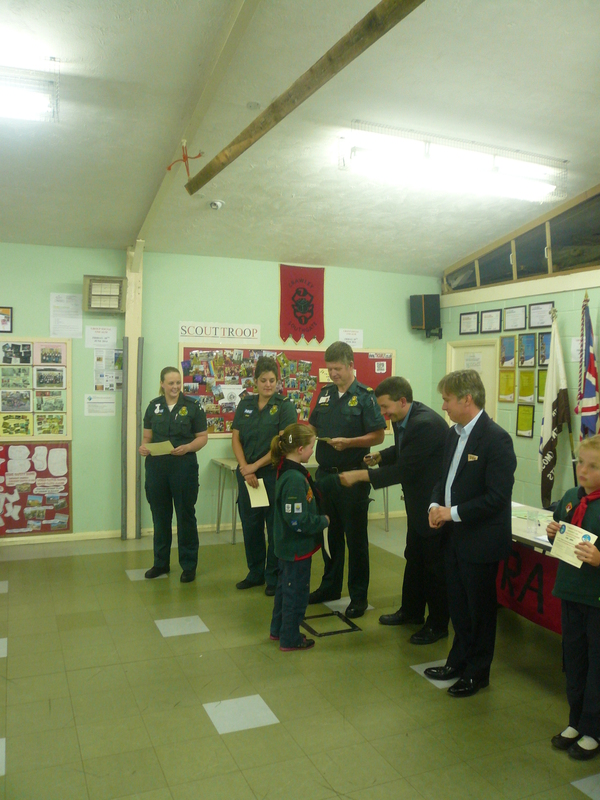 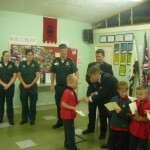 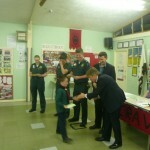 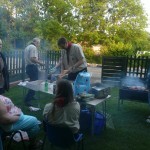 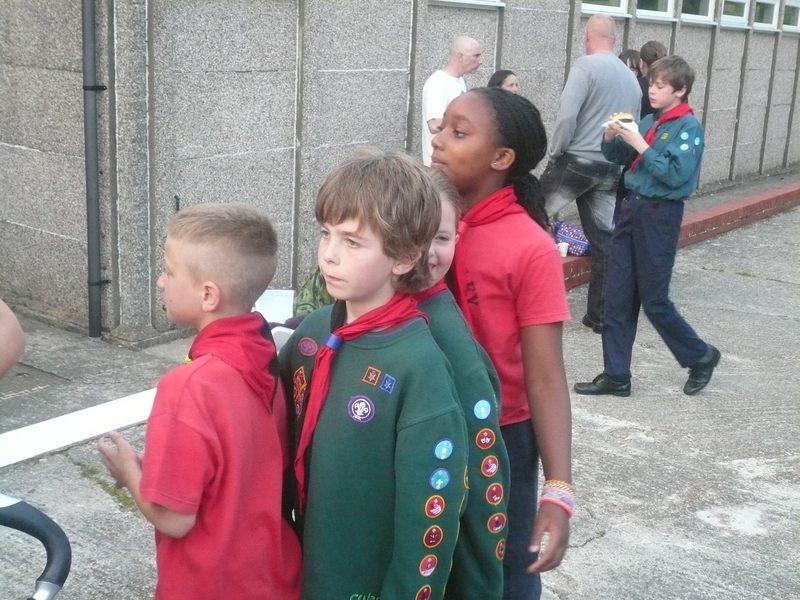 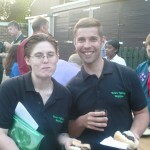 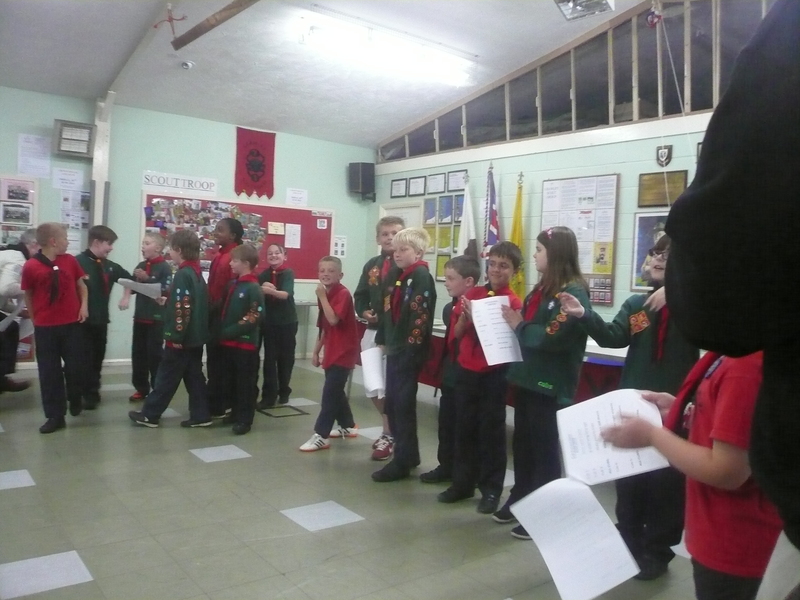 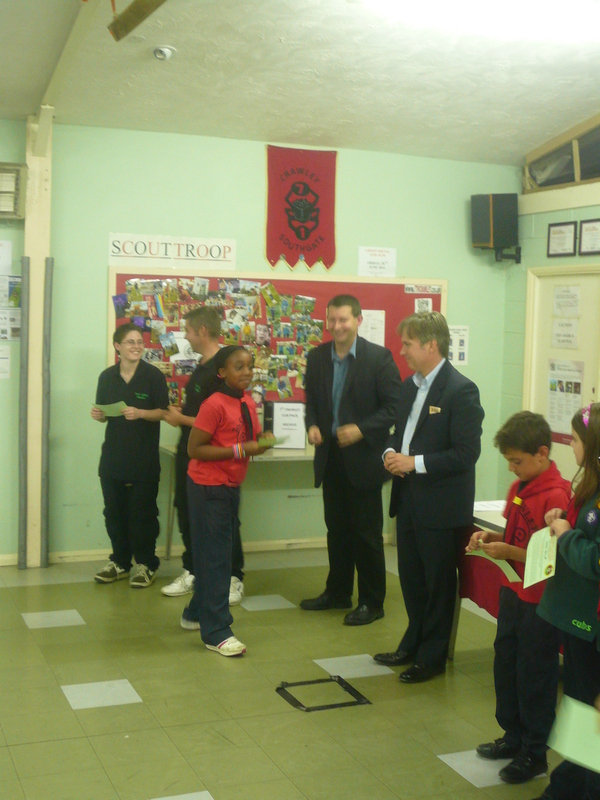 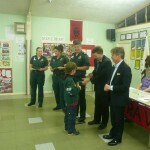 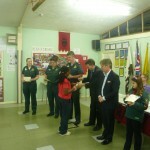 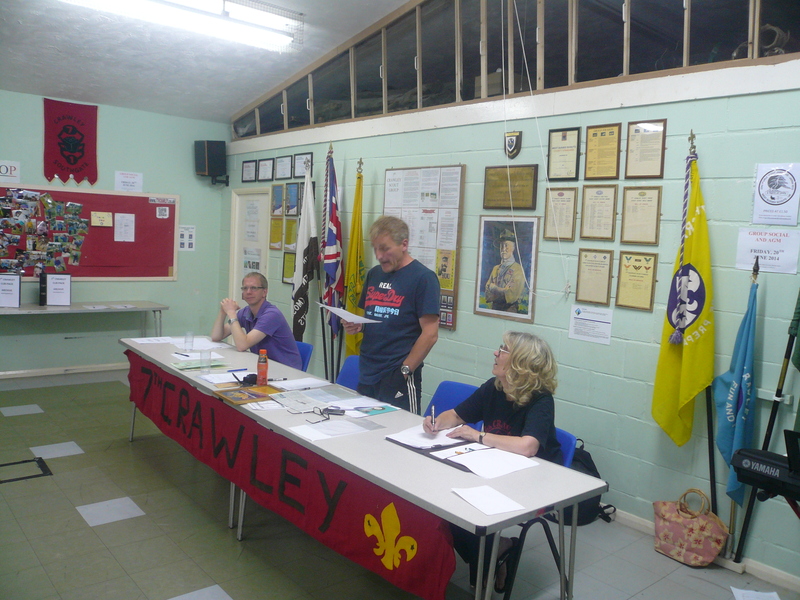 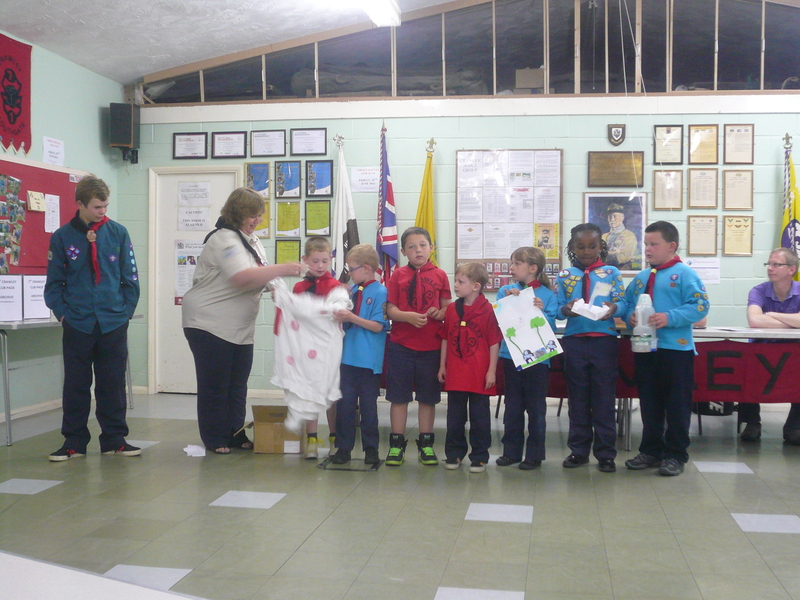 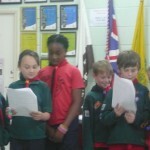 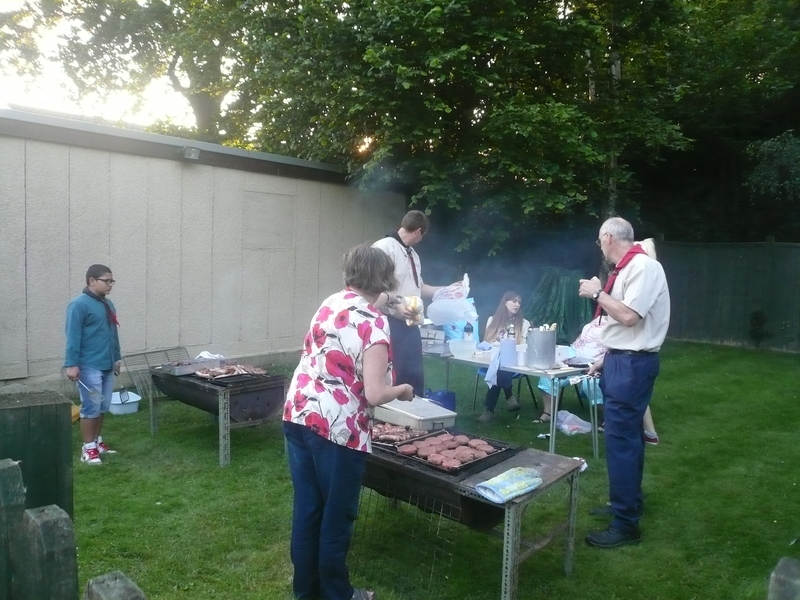 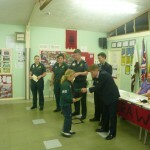 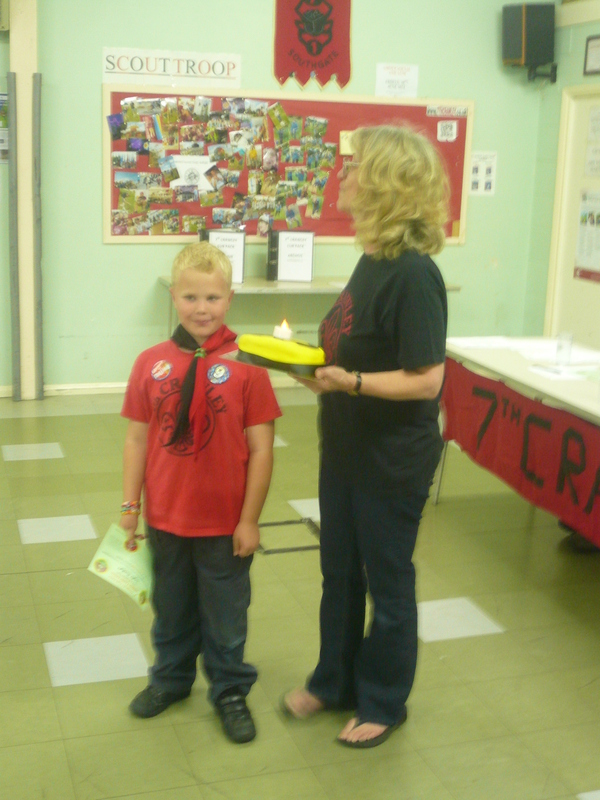 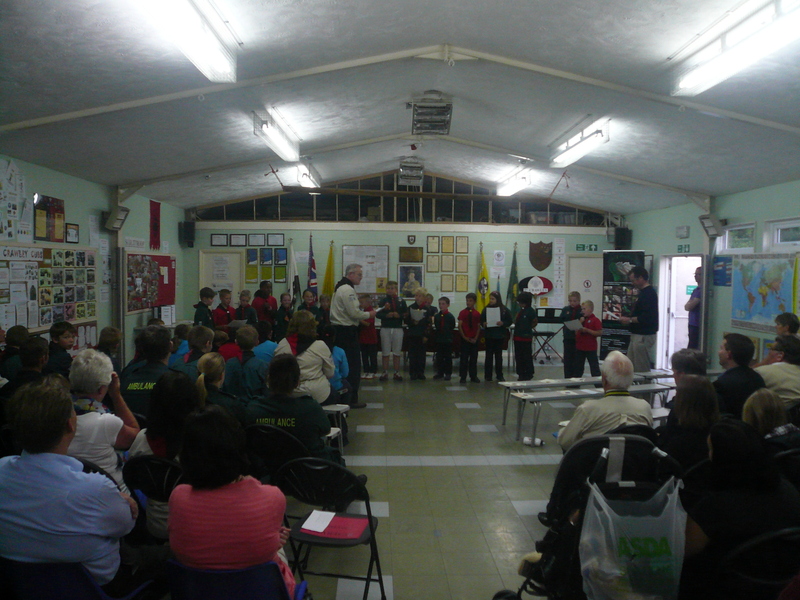 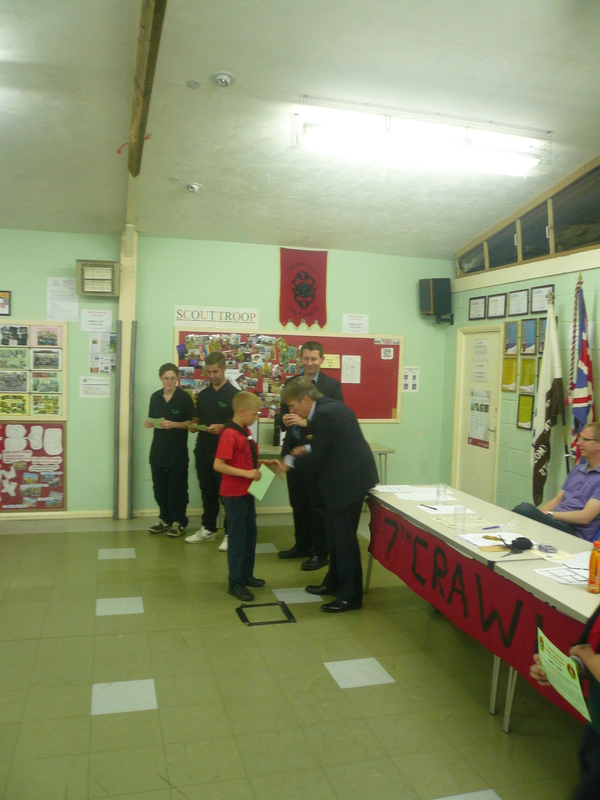 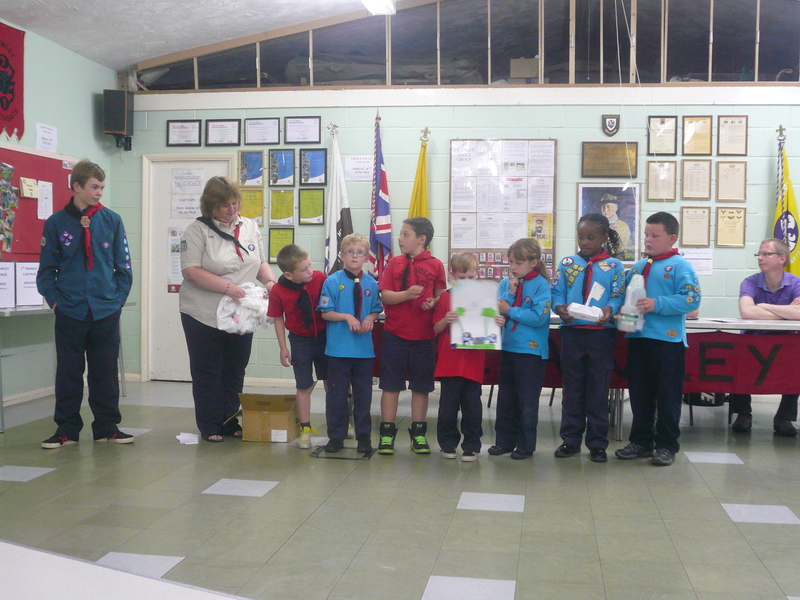 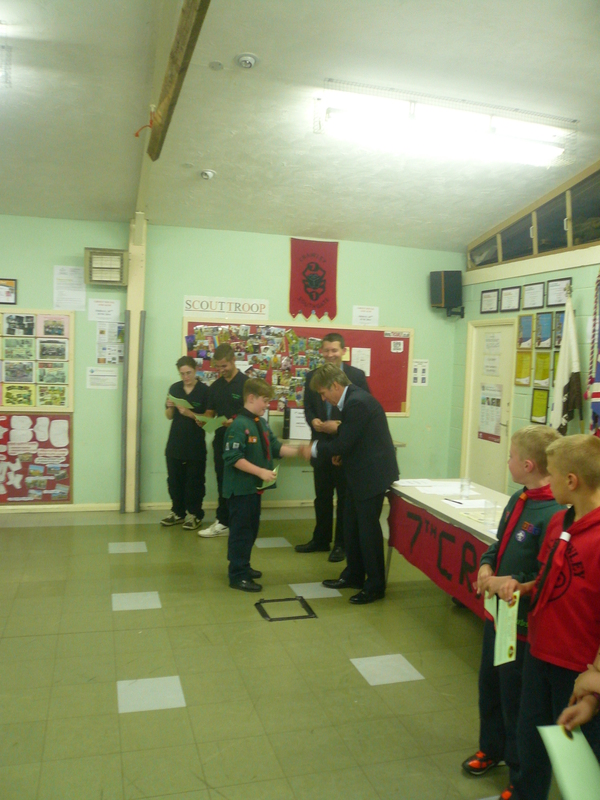 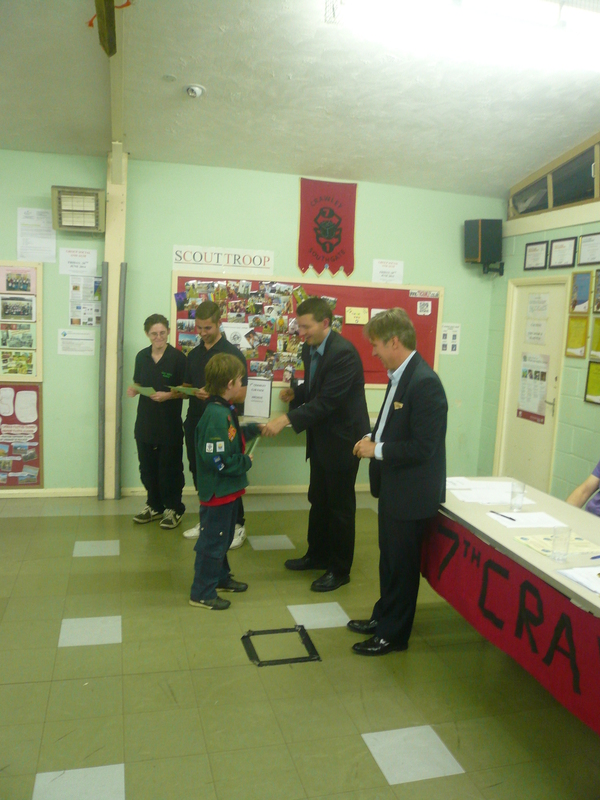 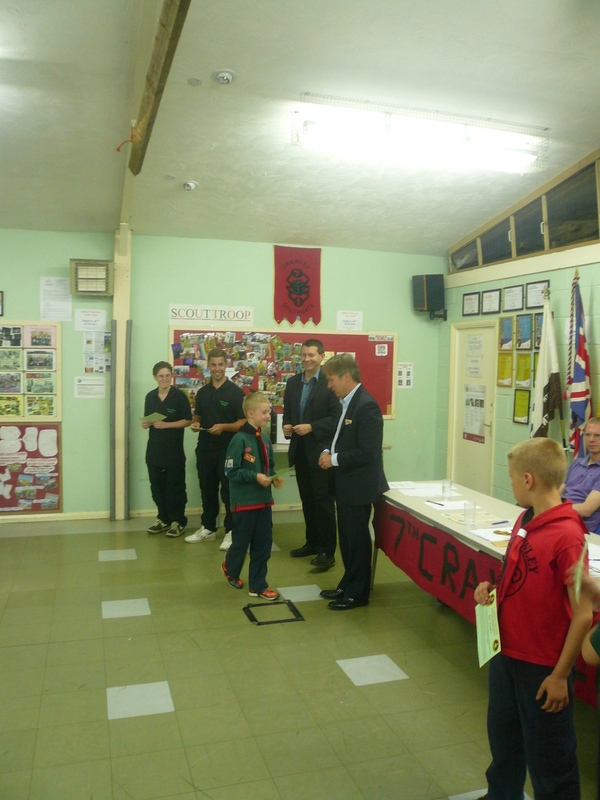 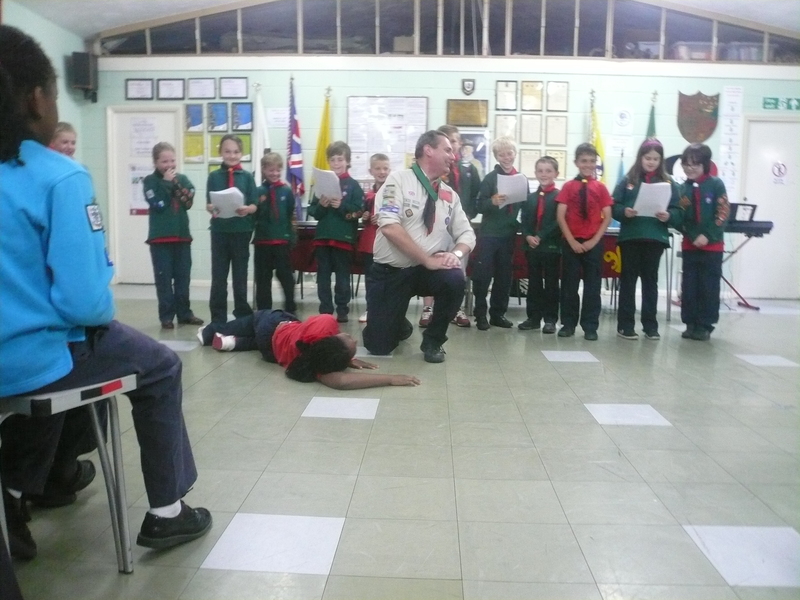 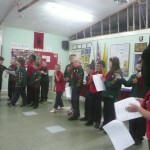 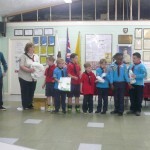 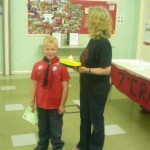 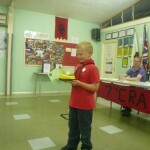 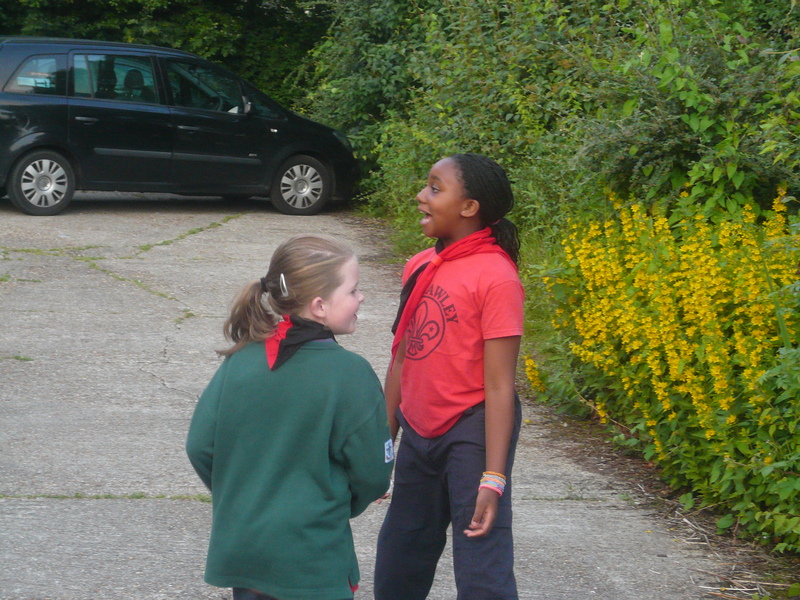 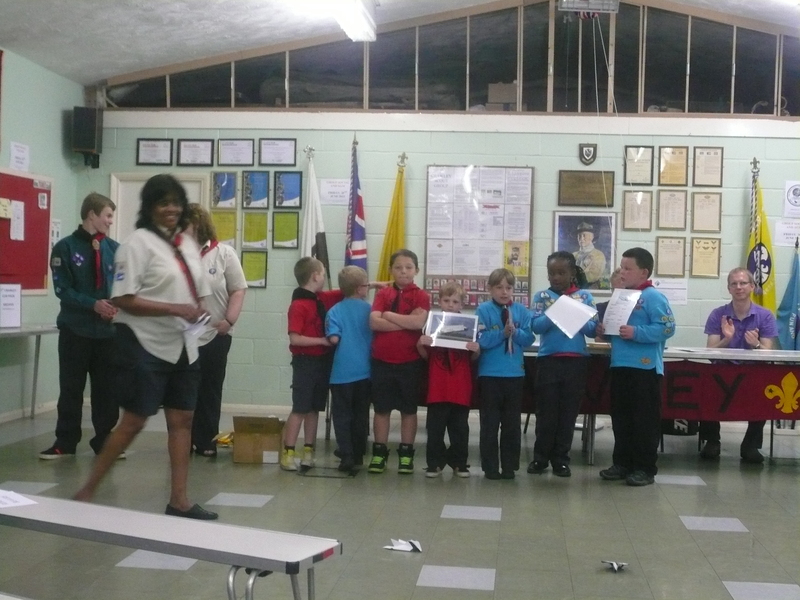 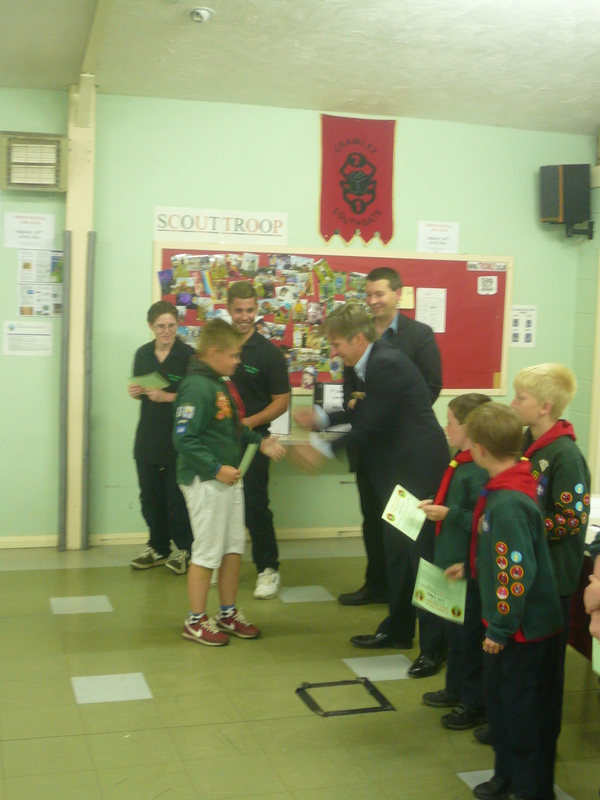 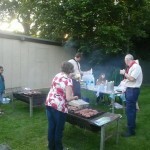 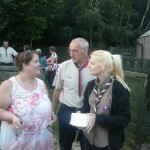 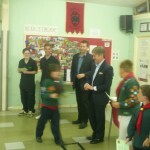 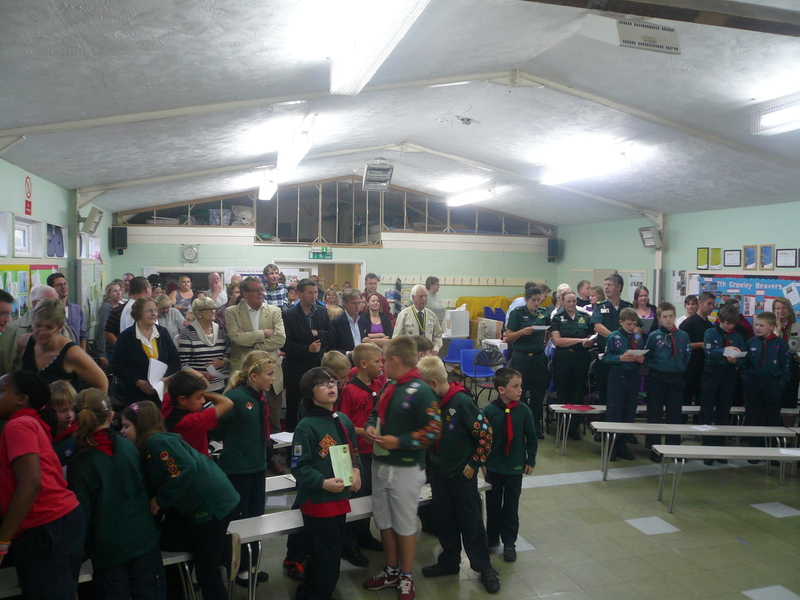 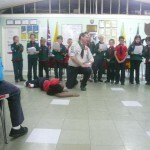 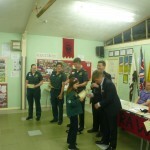 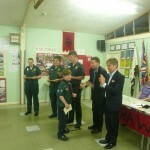 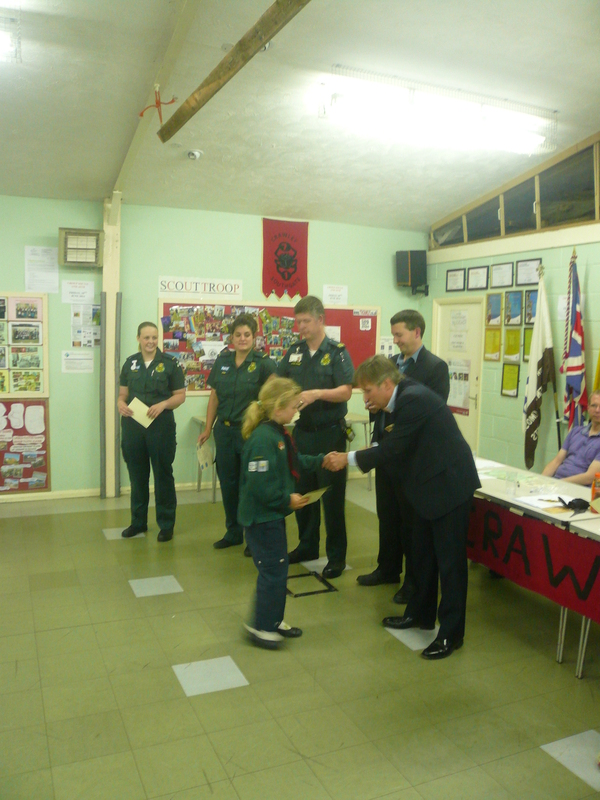 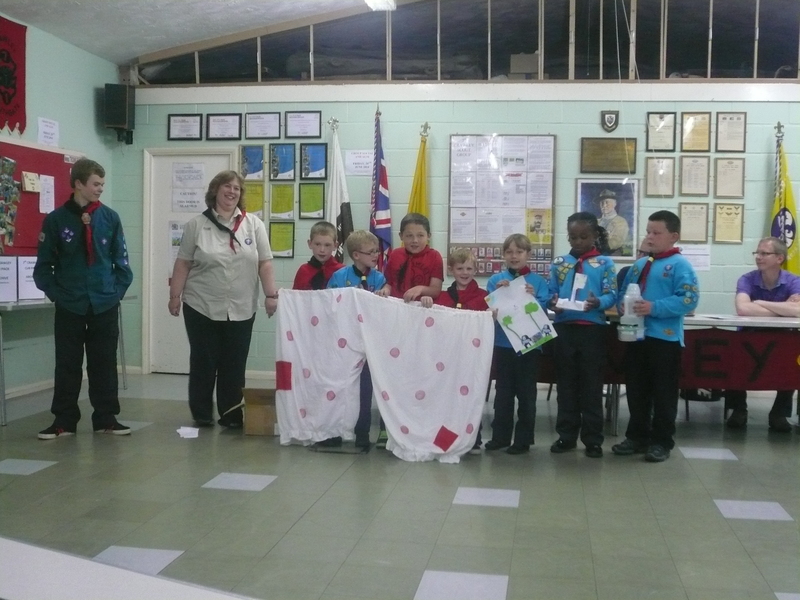 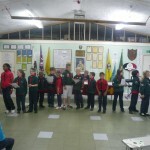 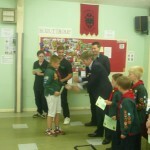 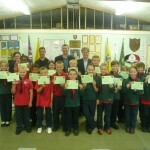 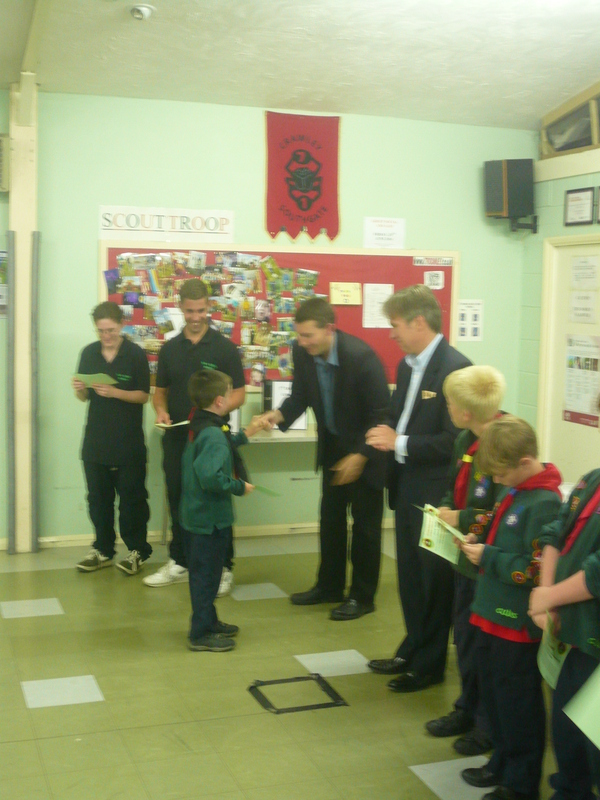 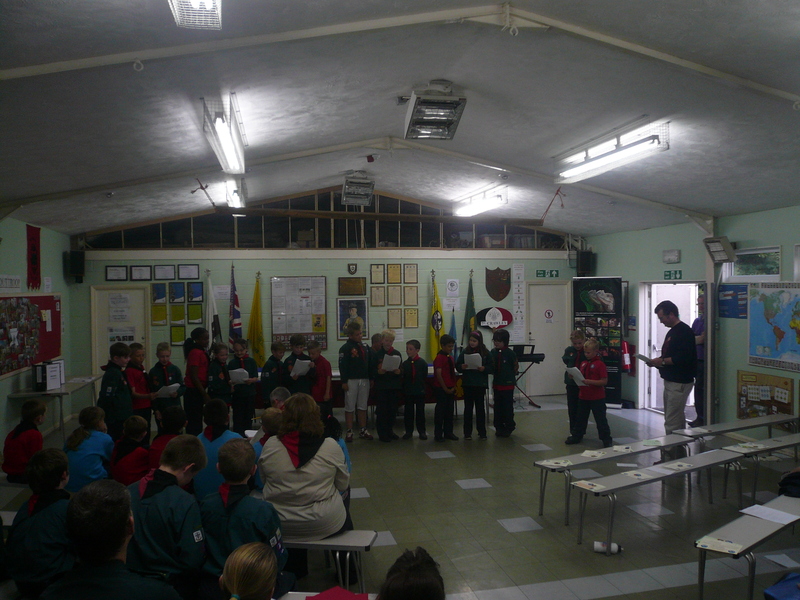 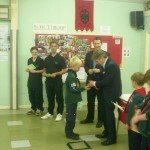 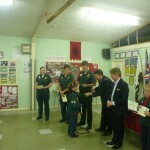 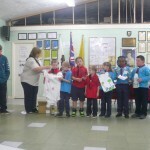 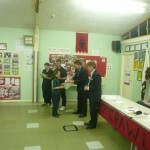 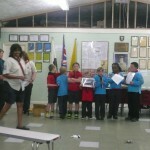 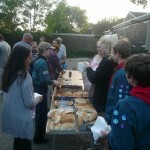 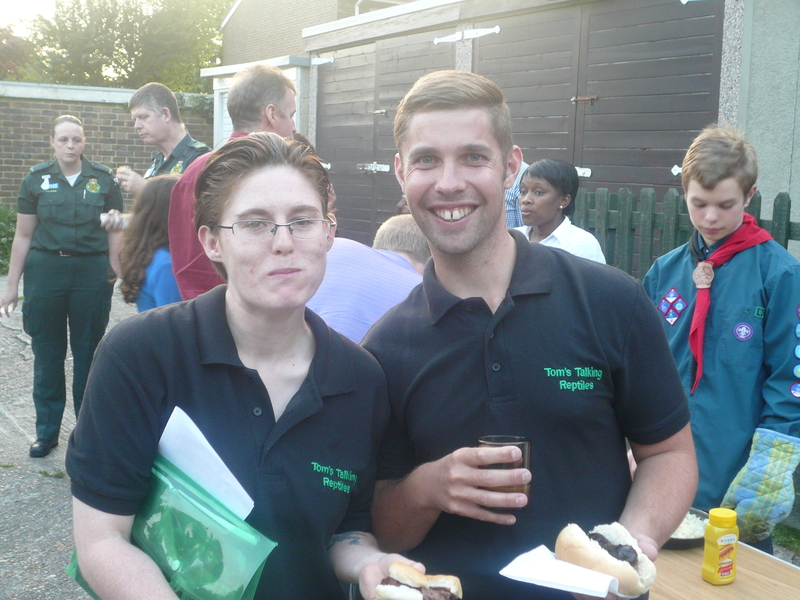 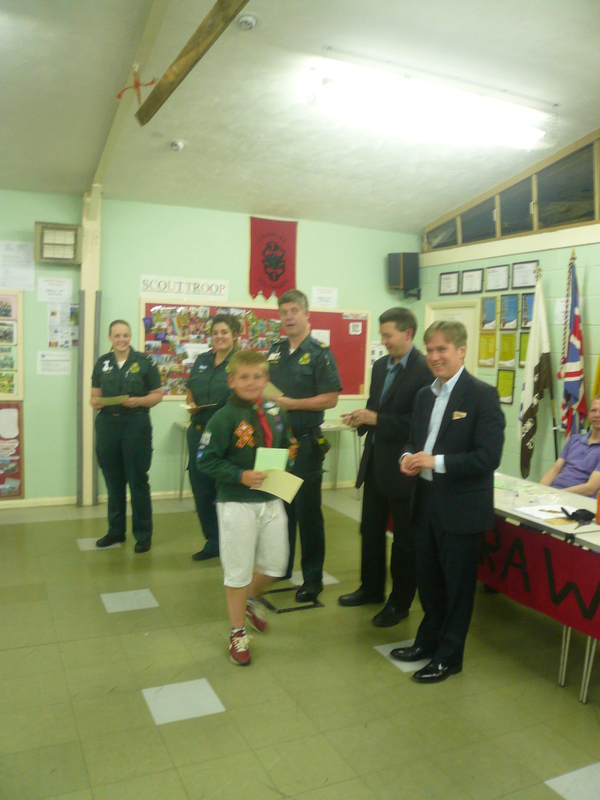 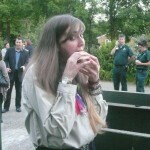 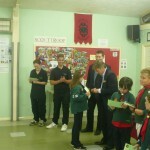 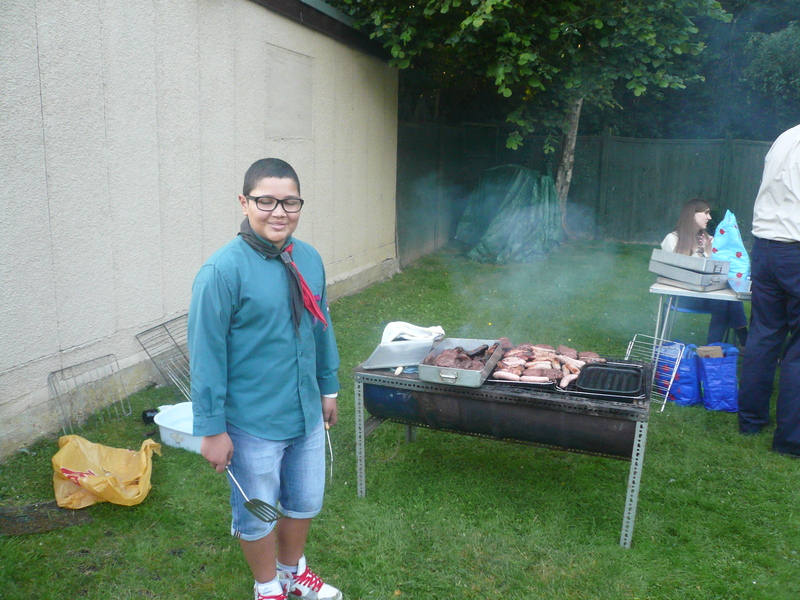 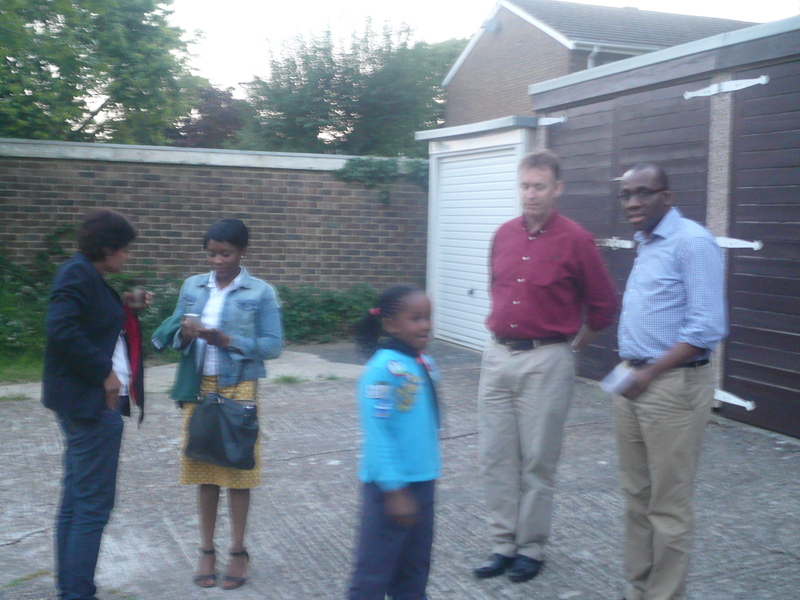 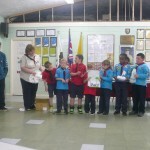 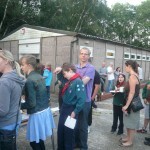 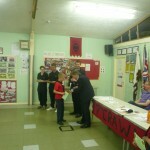 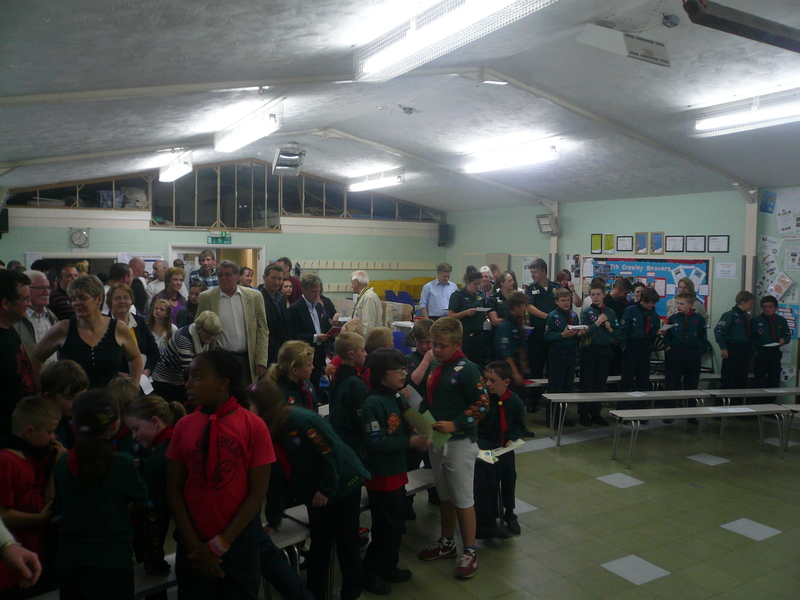 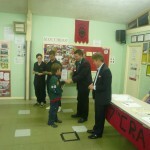 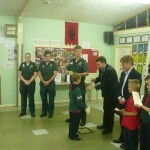 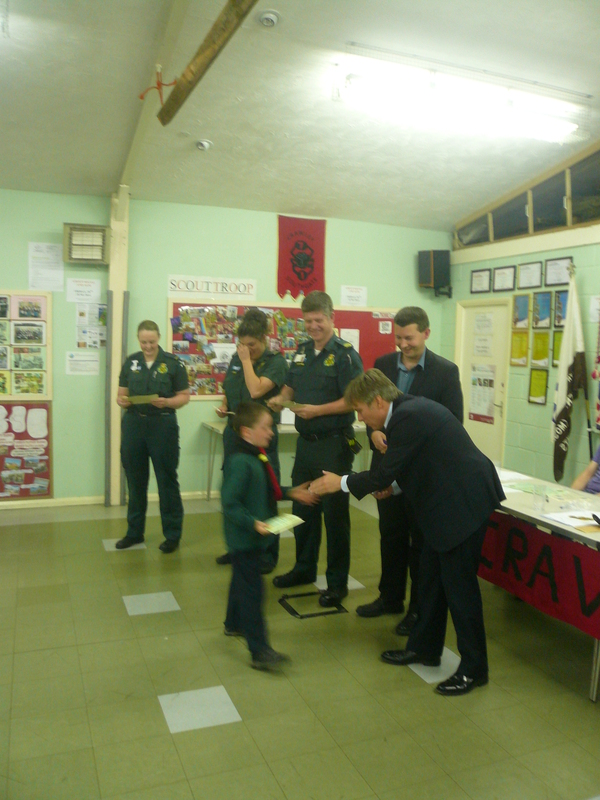 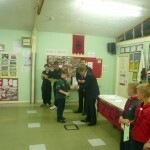 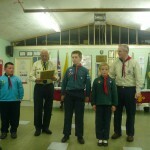 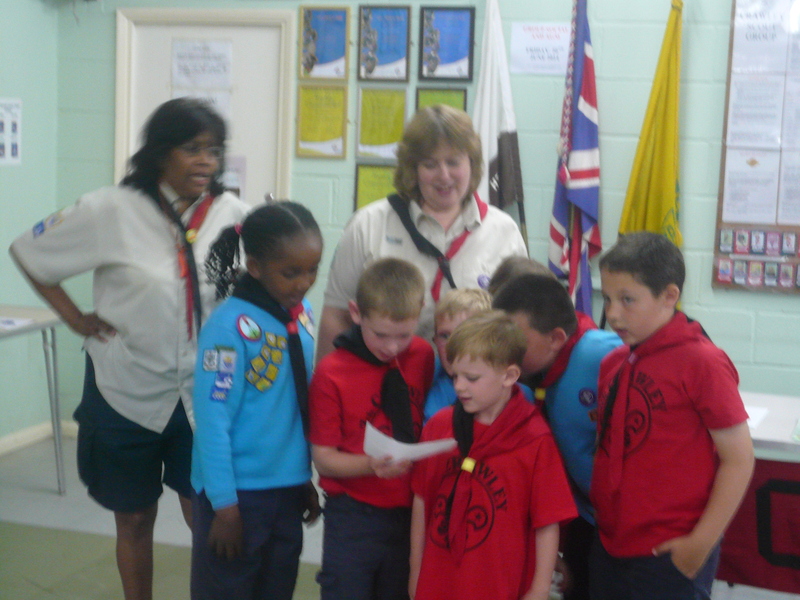 After the meeting we enjoyed entertainment from members of the Beaver Colony and the Cub Pack and then sampled the delights of the bbq courtesy of members of the Scout Troop.